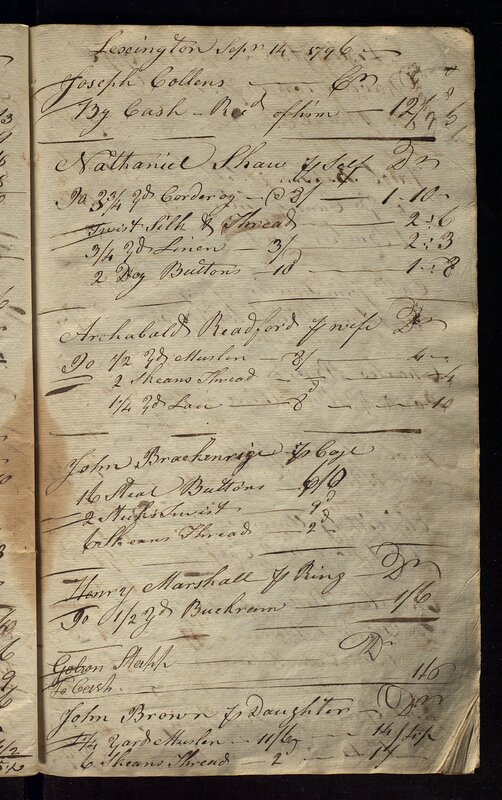 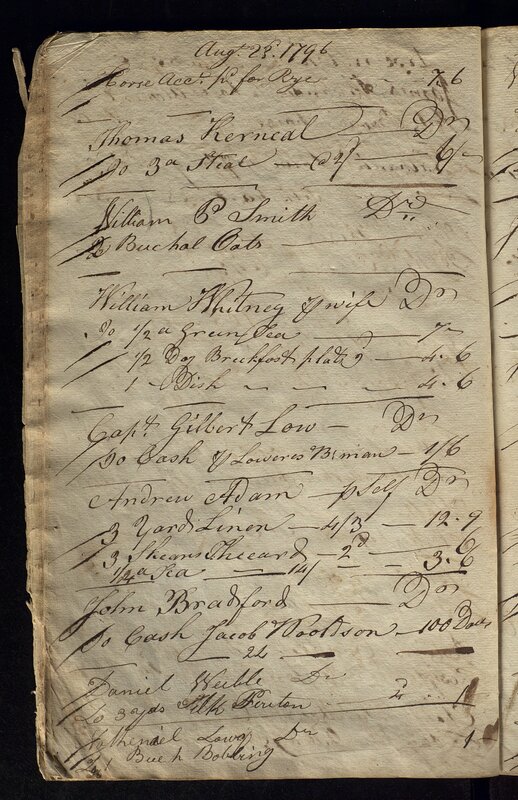 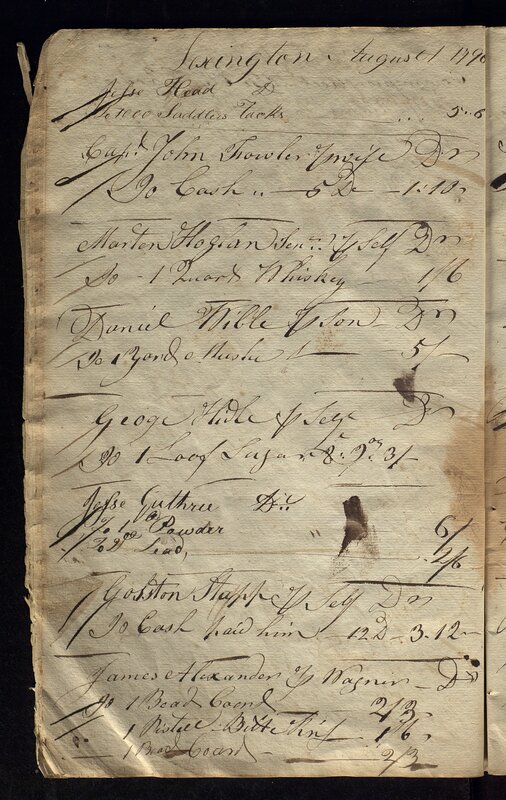 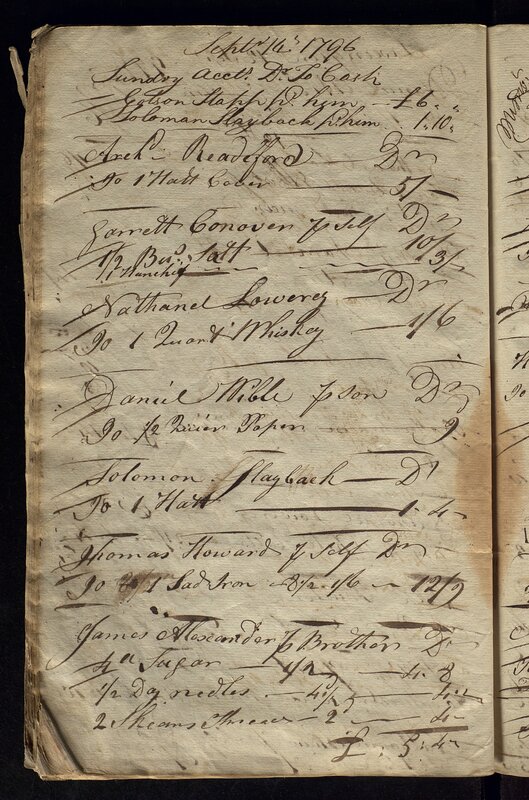 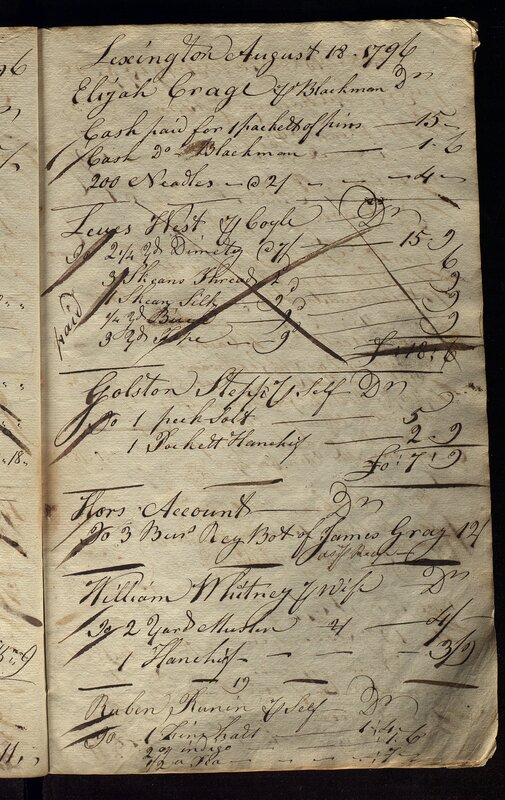 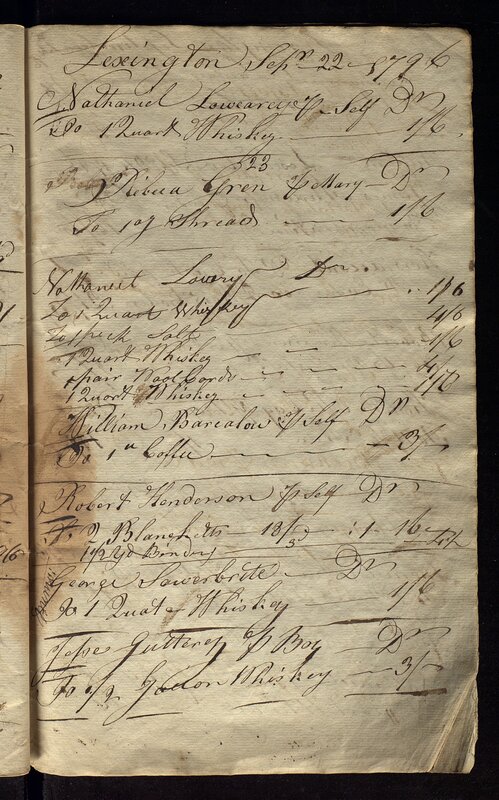 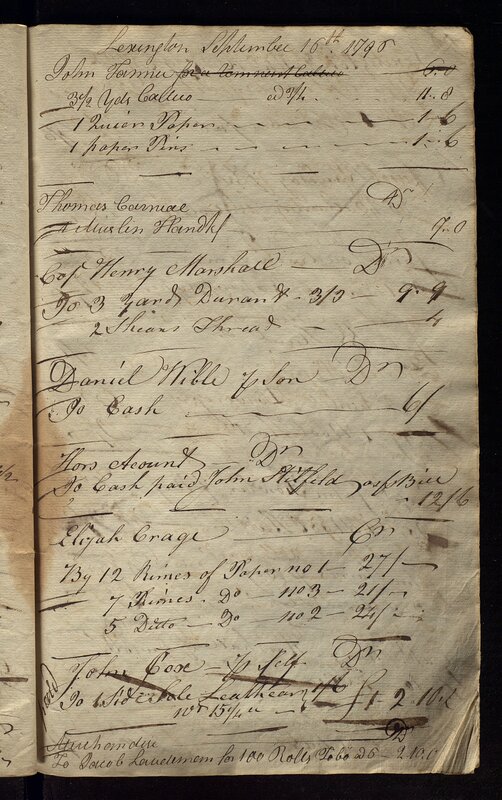 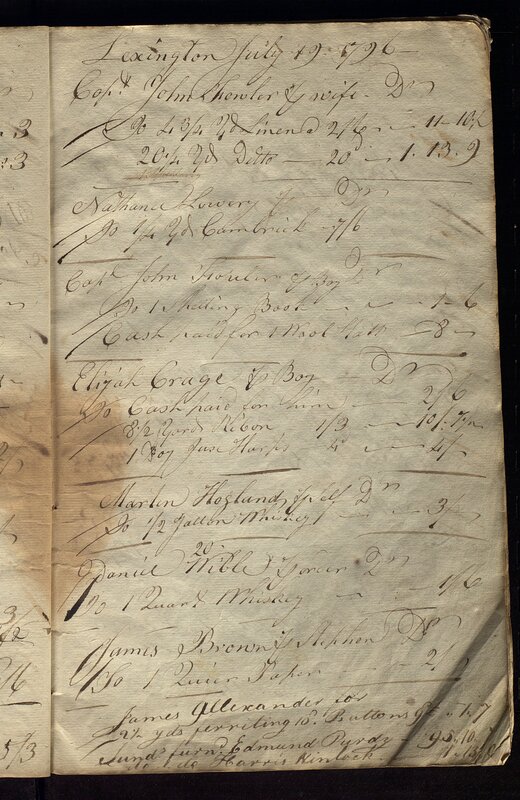 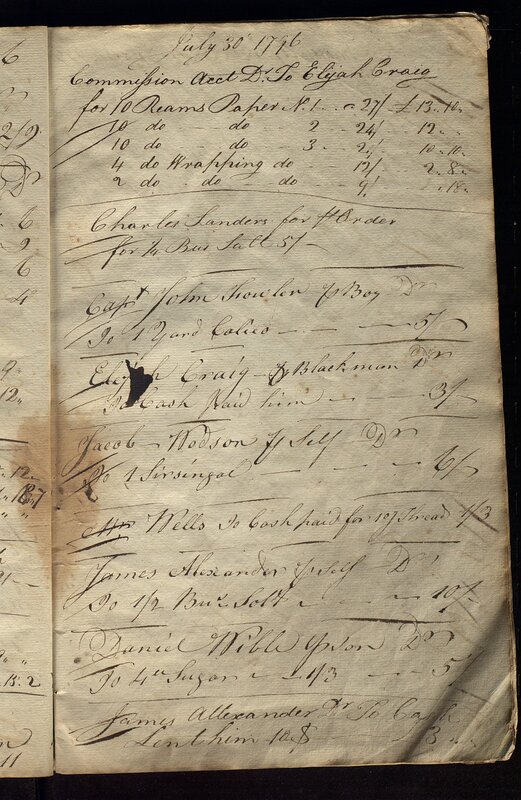 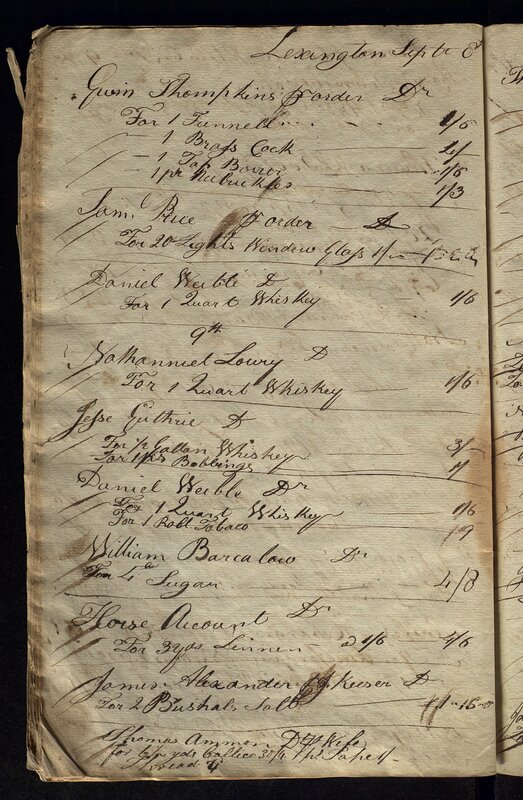 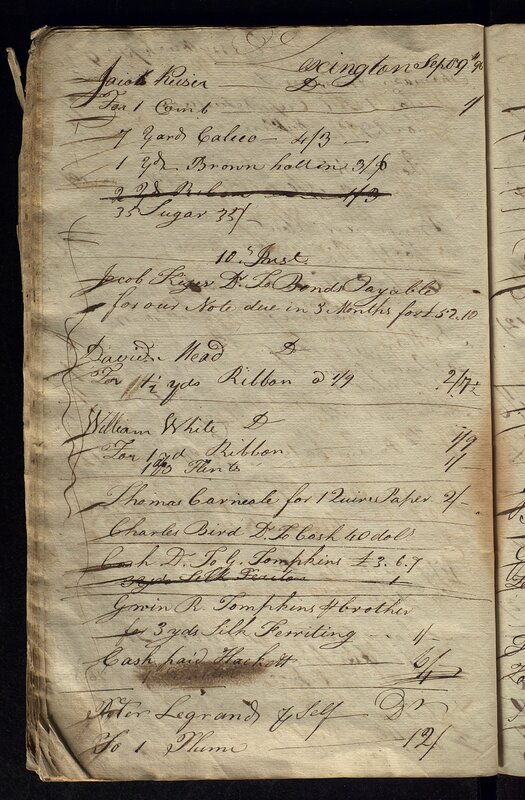 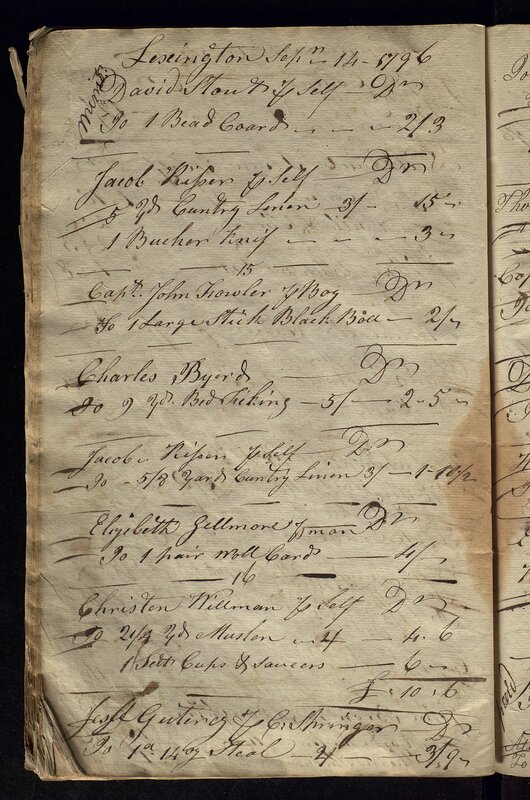 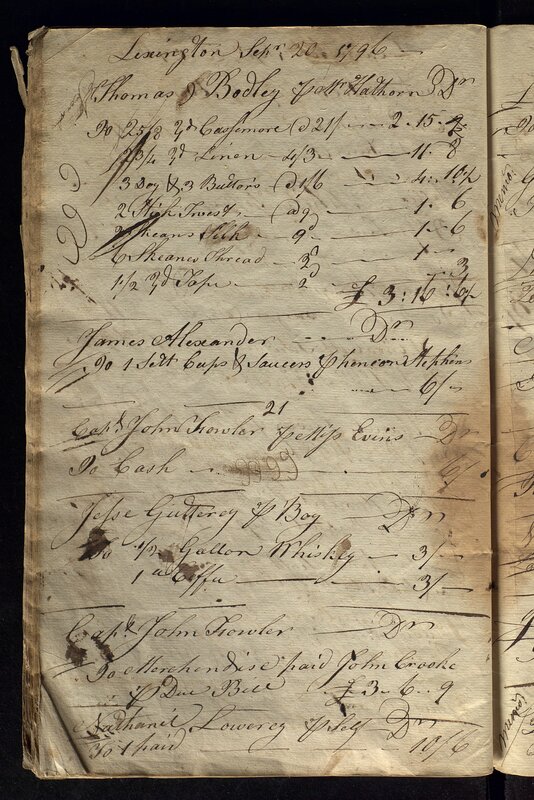 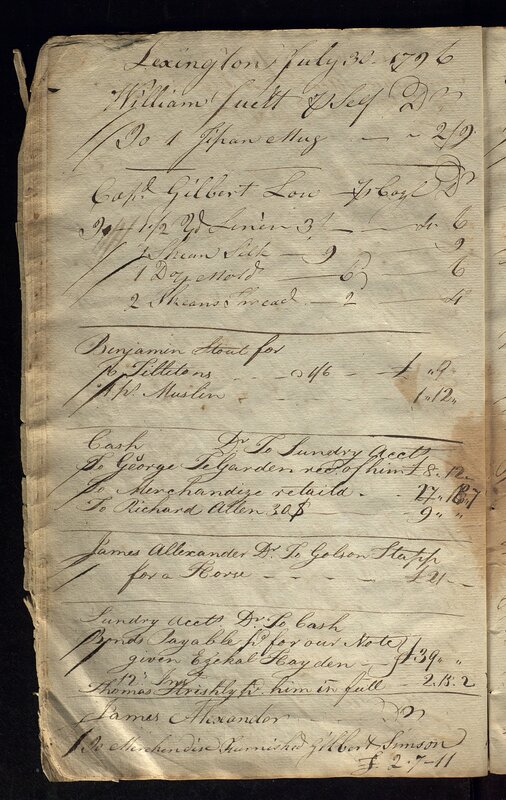 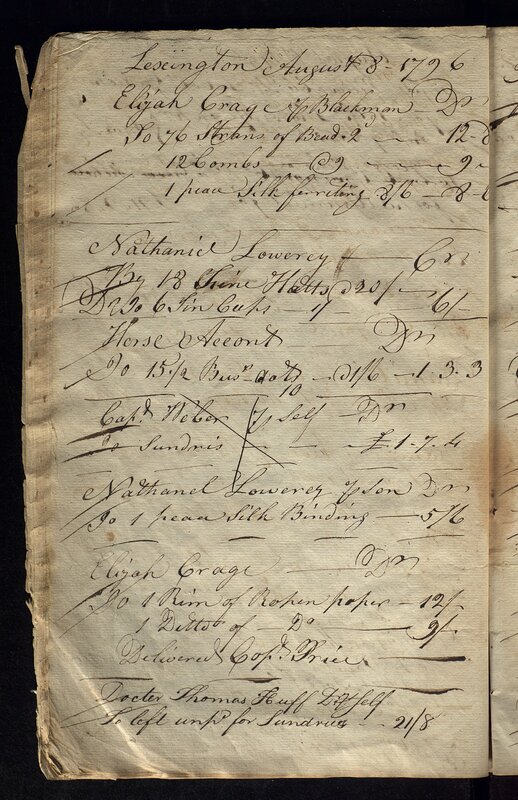 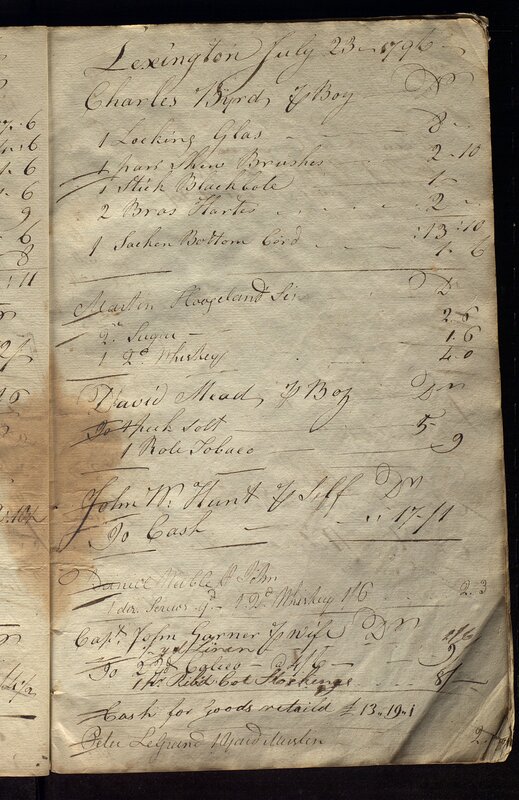 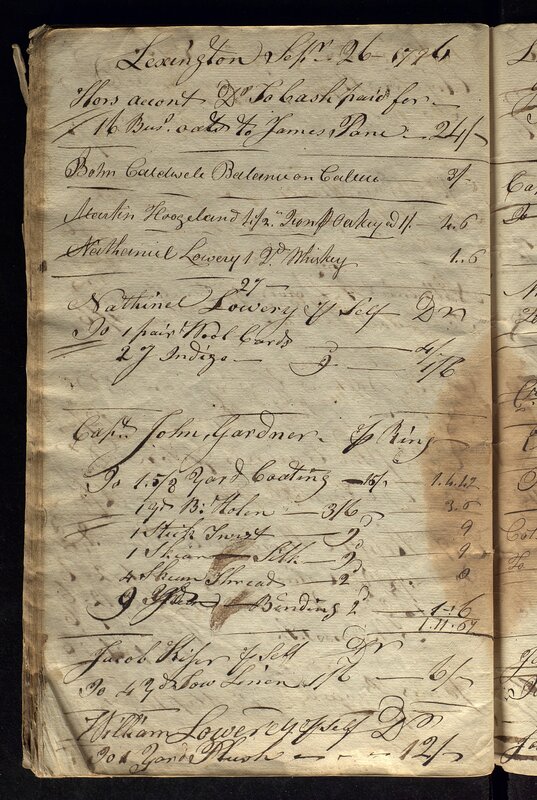 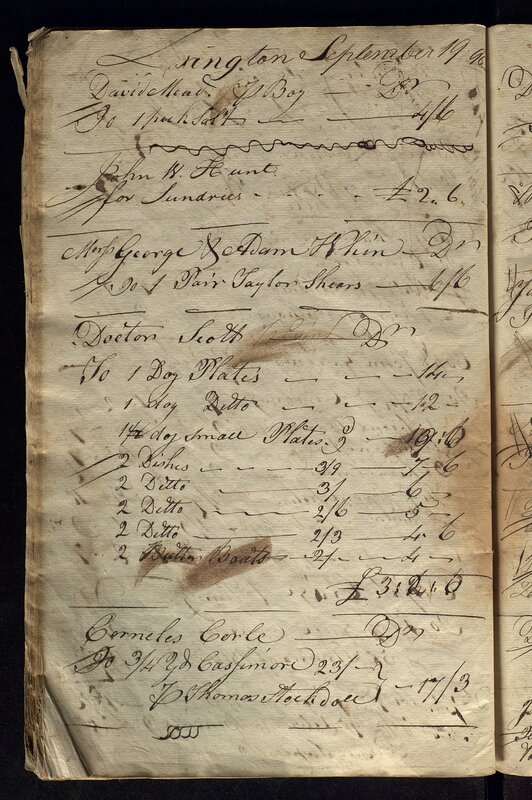 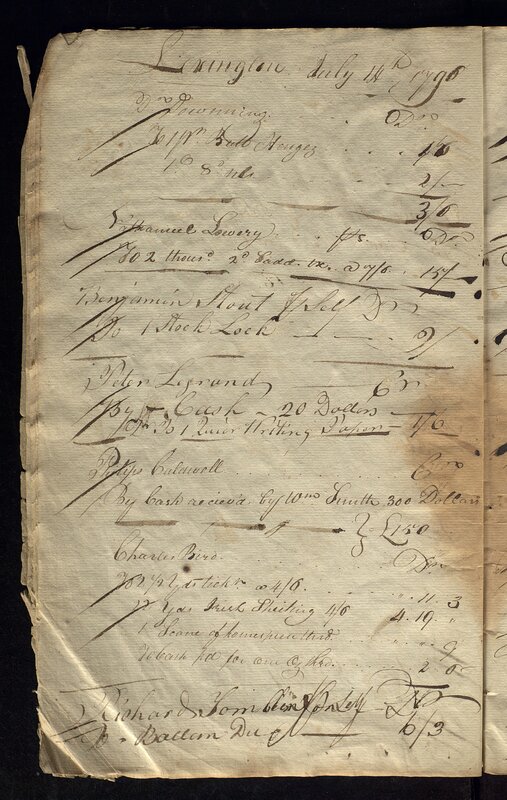 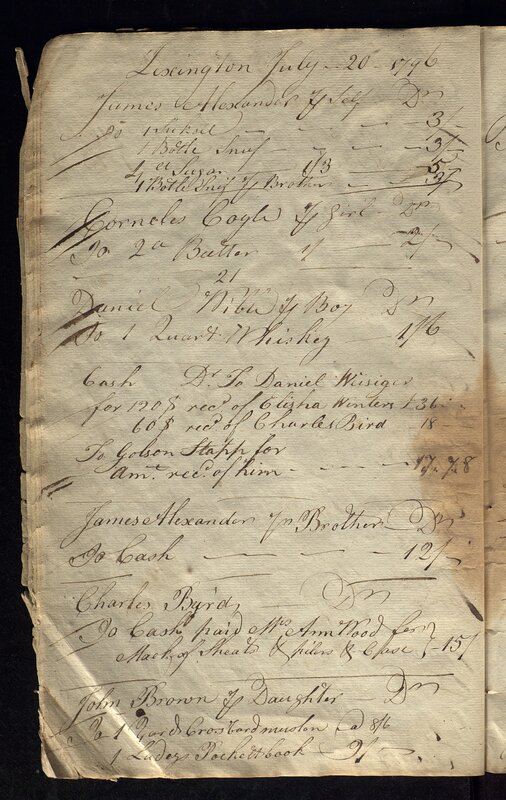 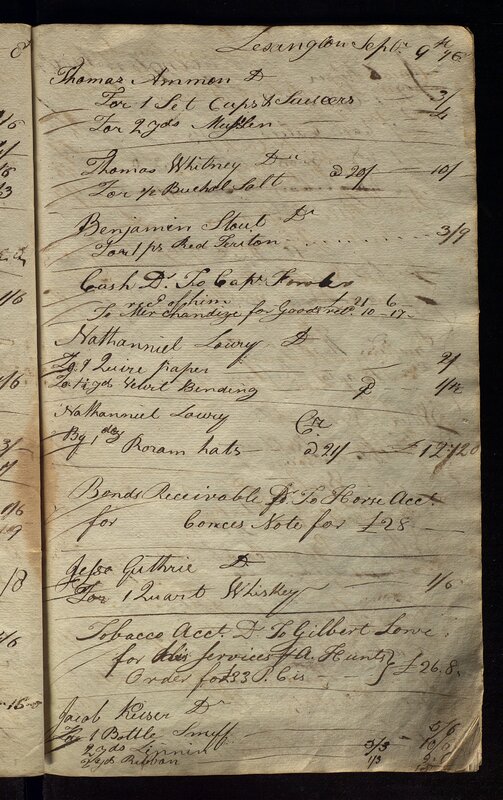 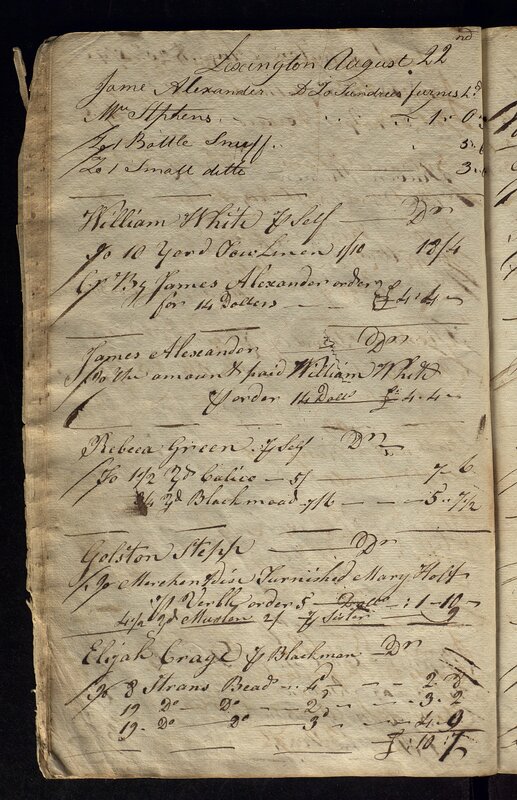 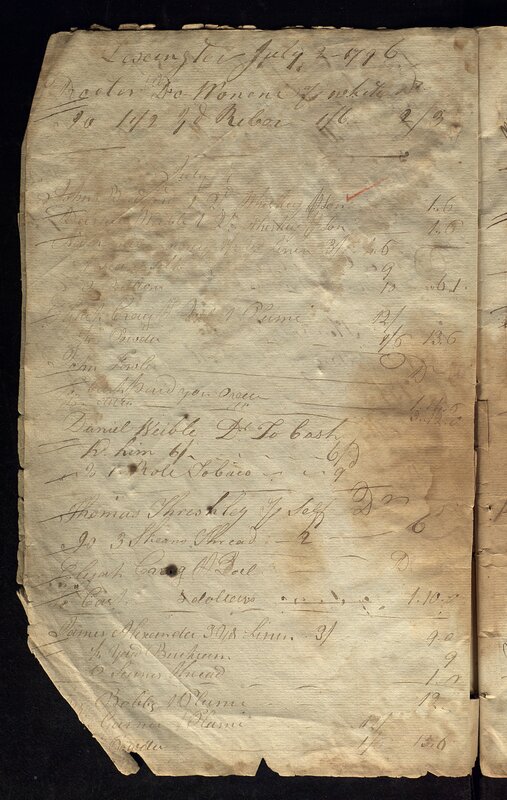 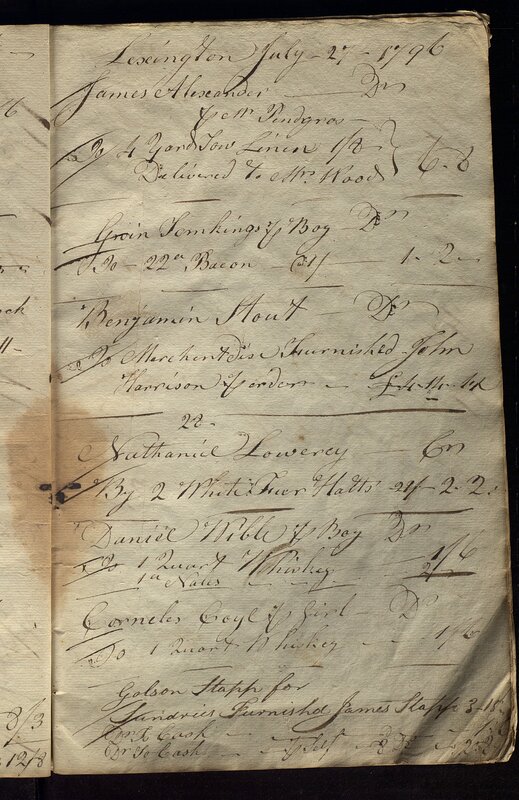 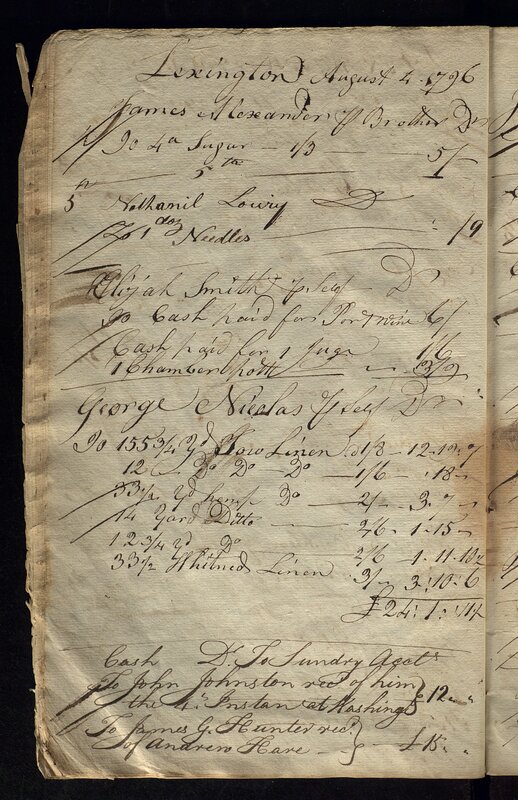 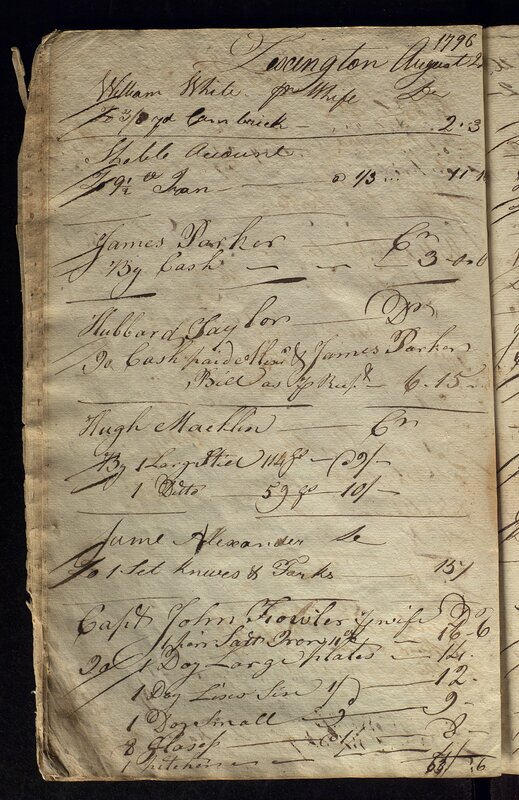 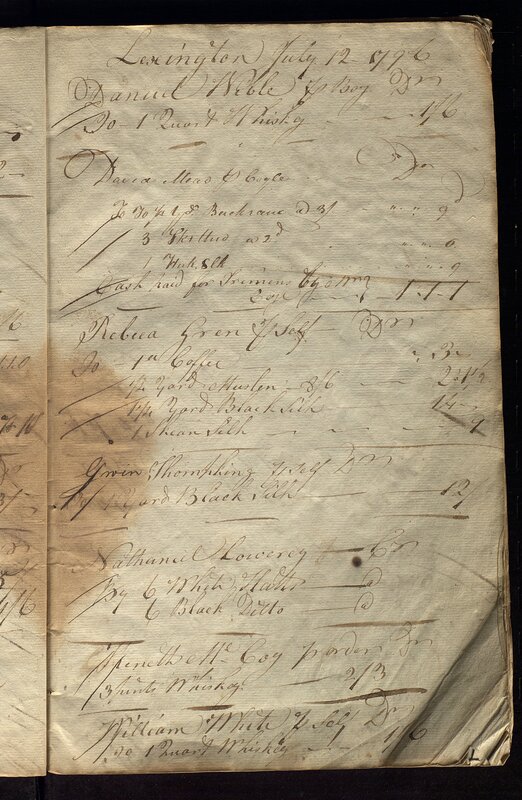 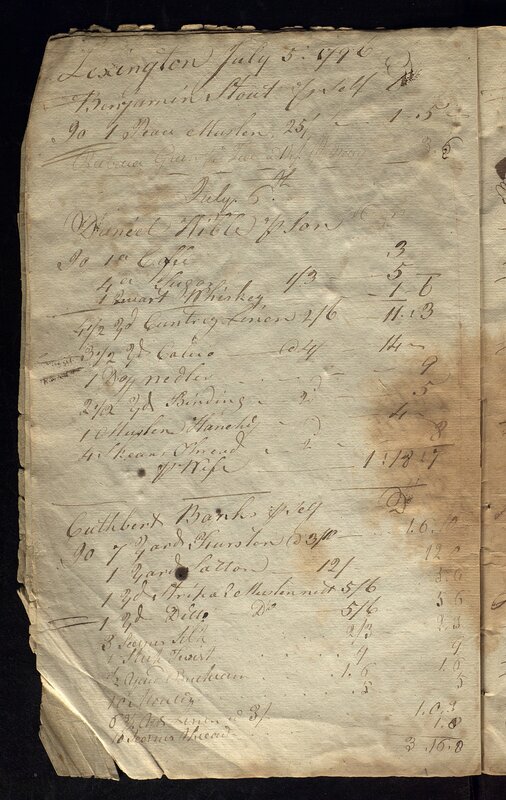 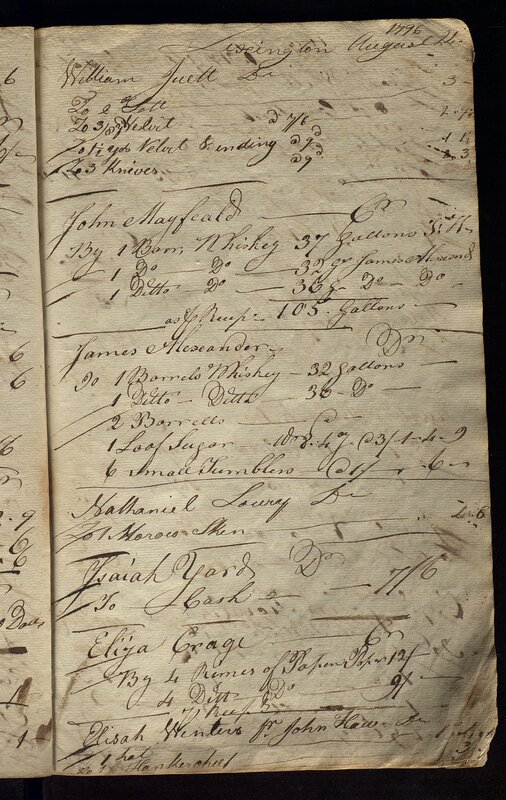 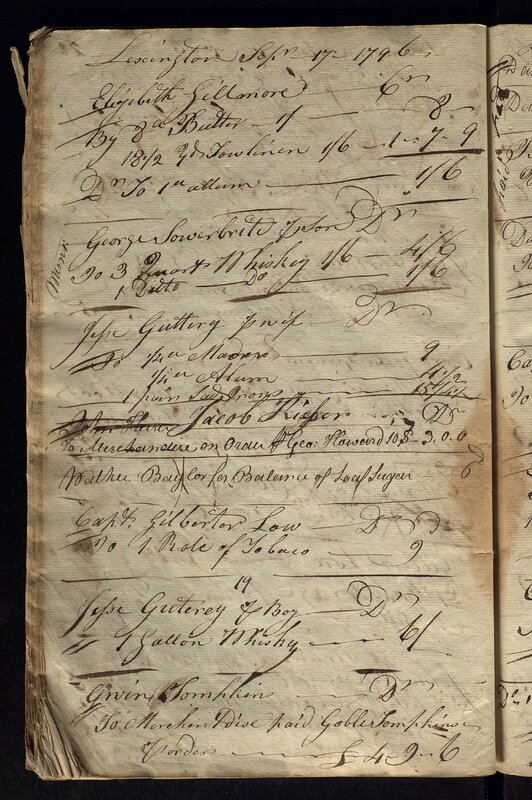 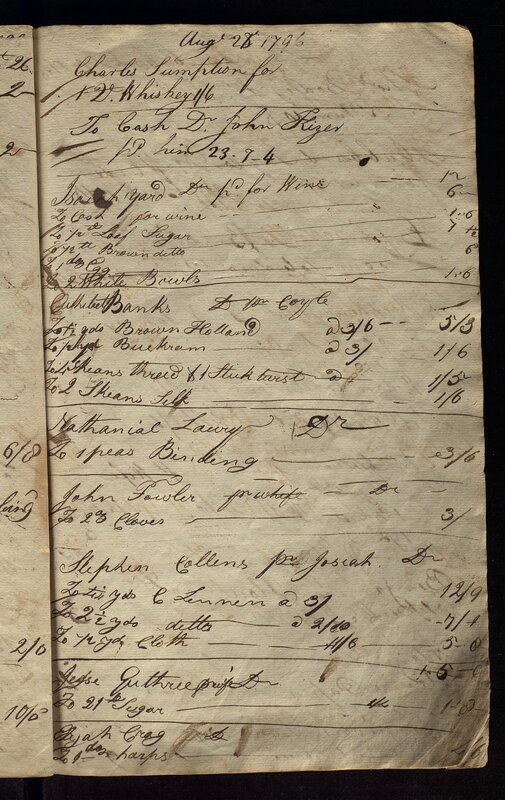 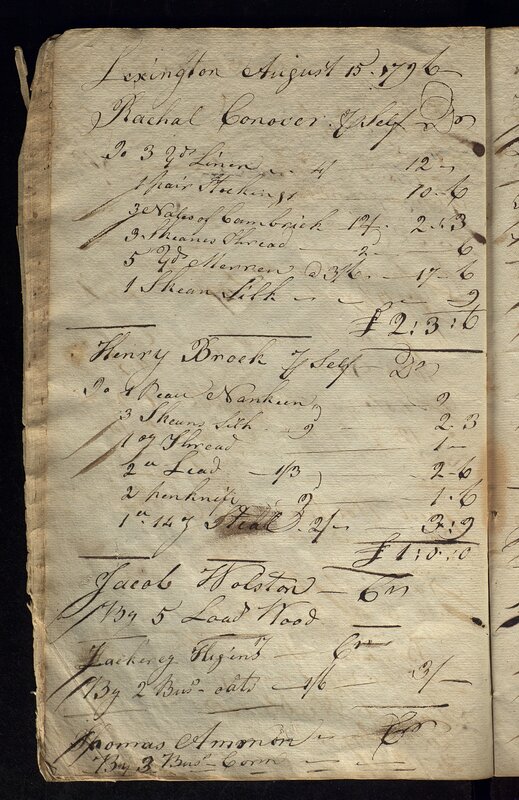 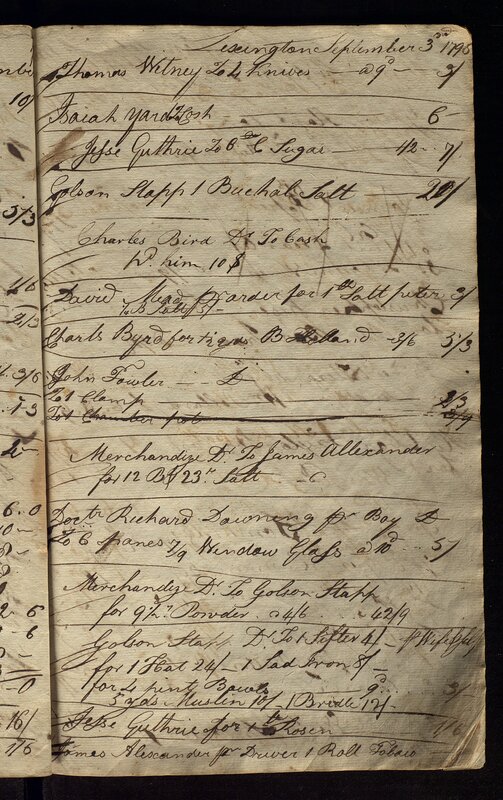 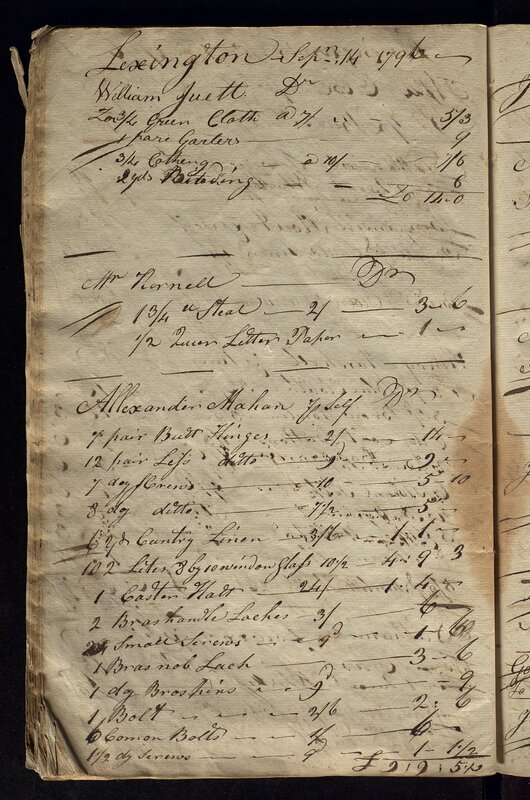 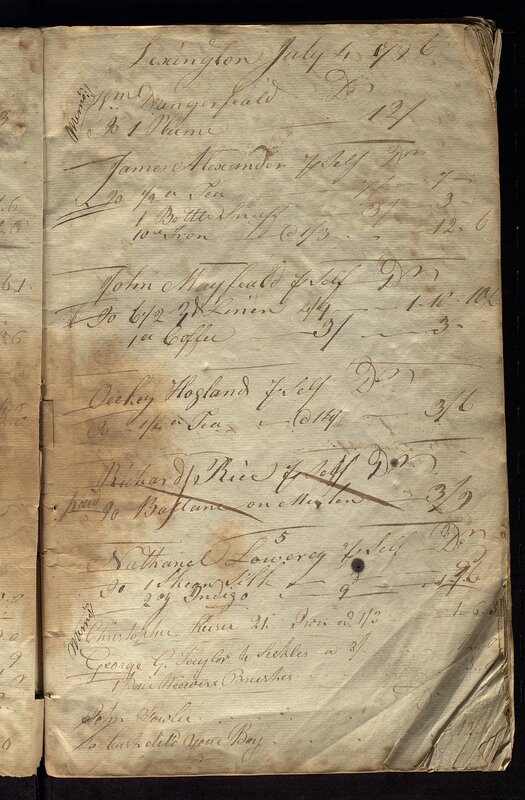 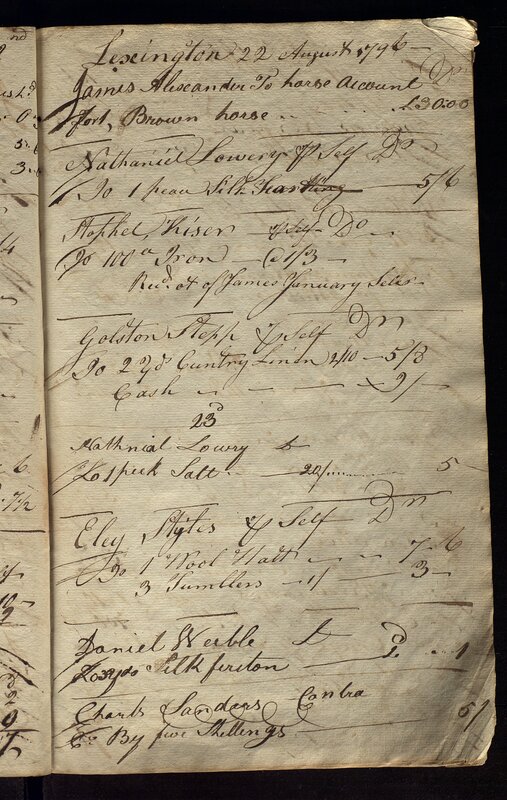 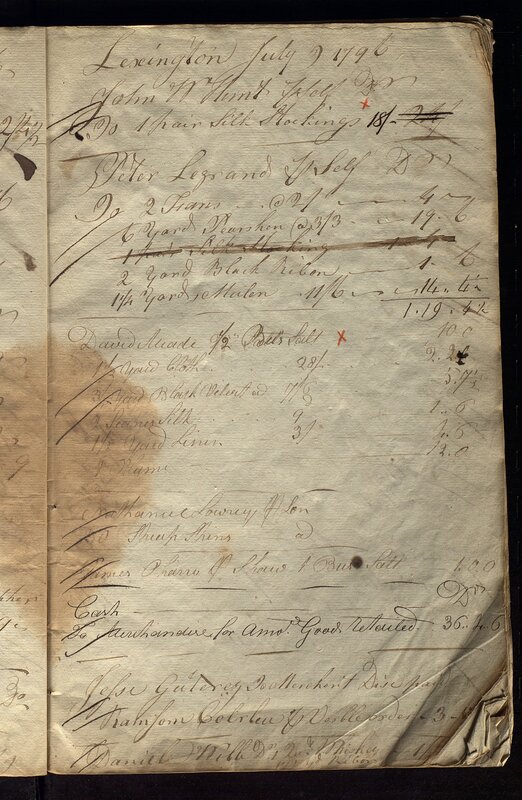 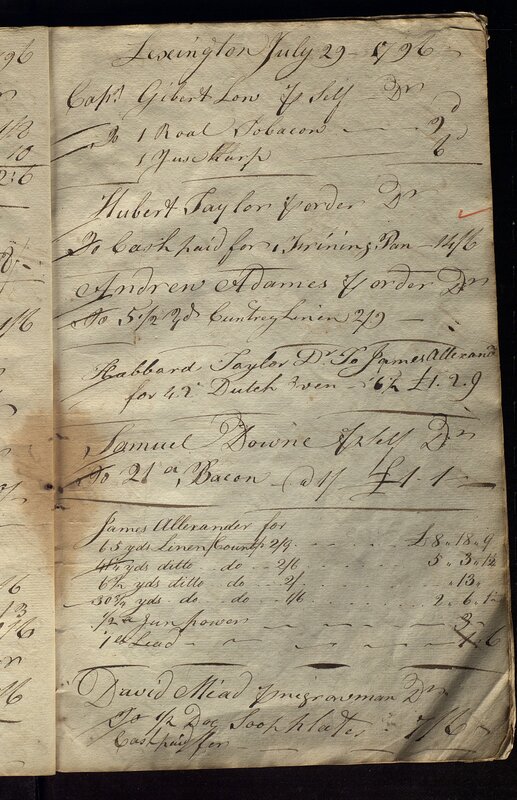 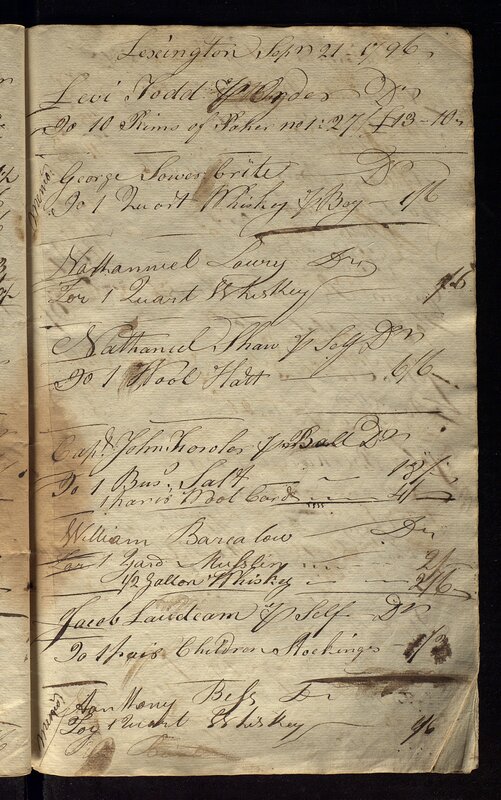 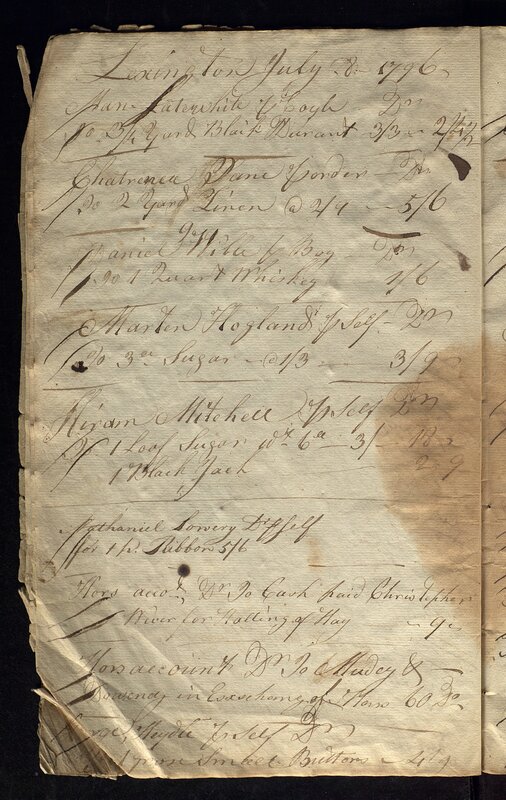 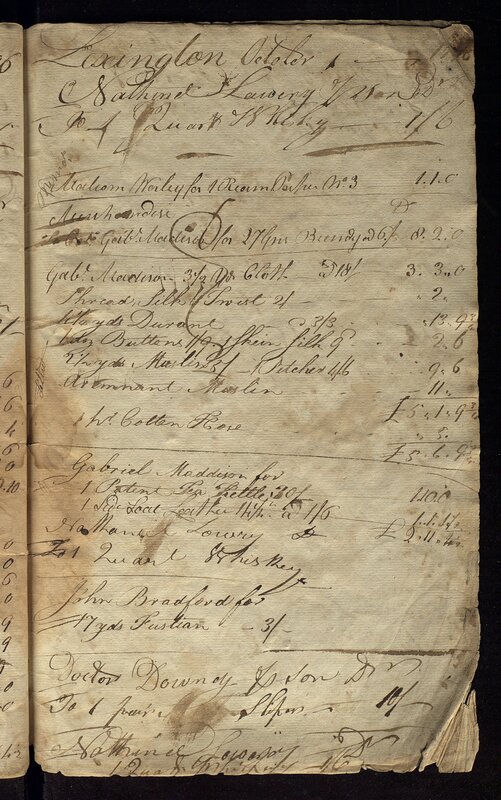 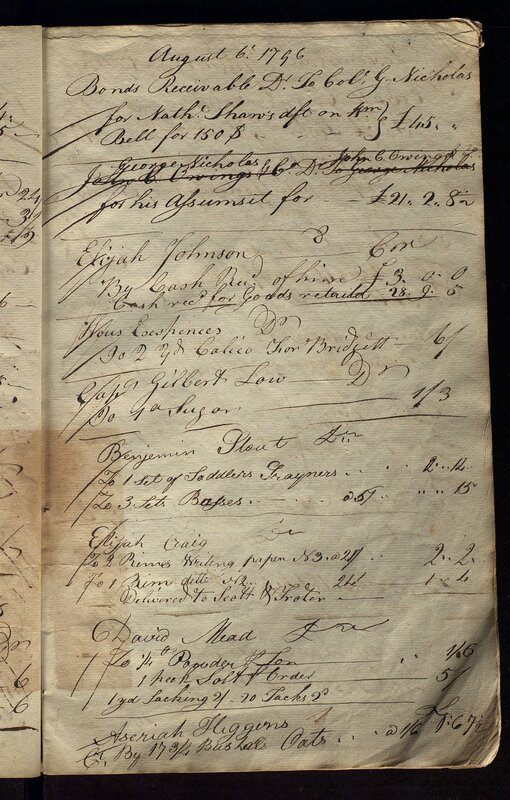 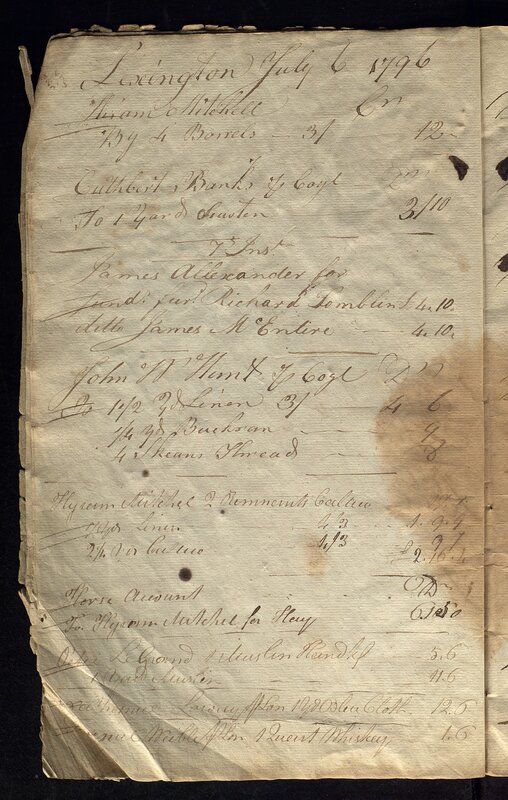 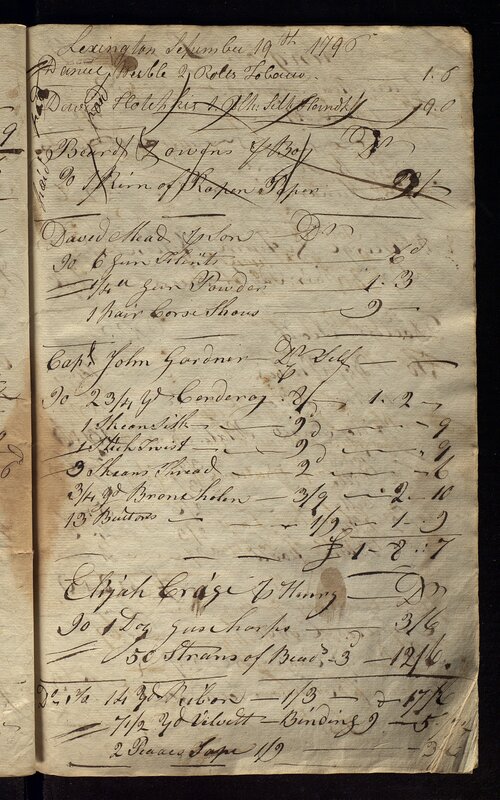 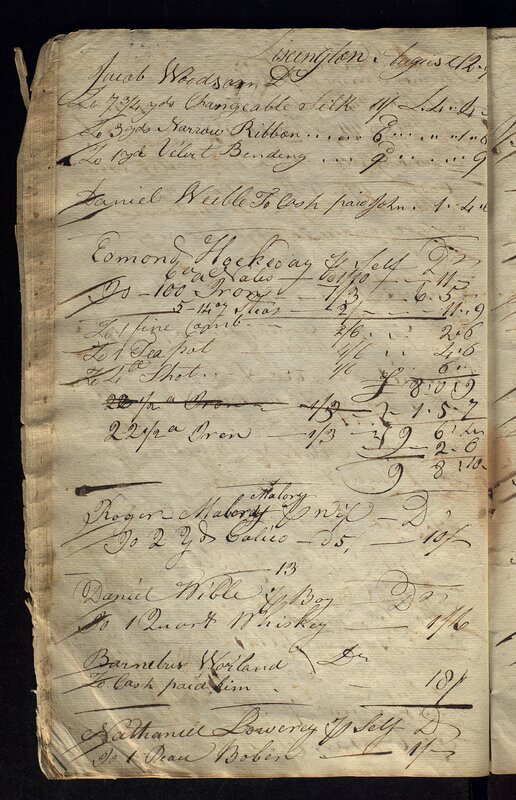 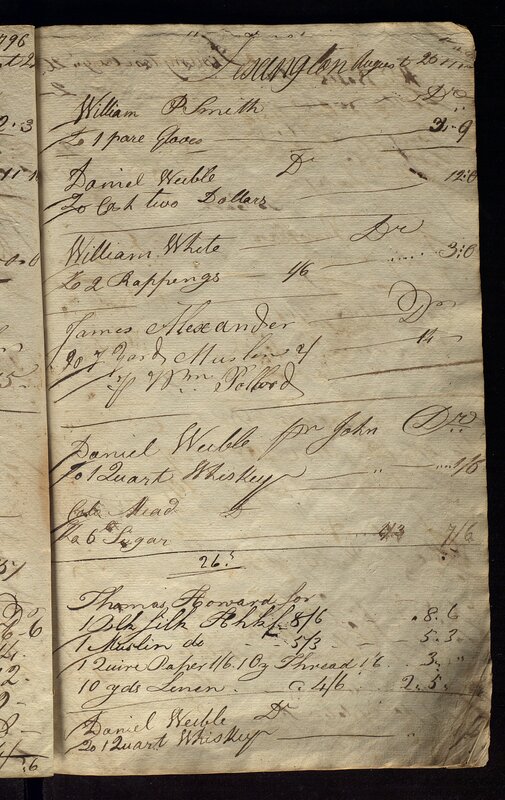 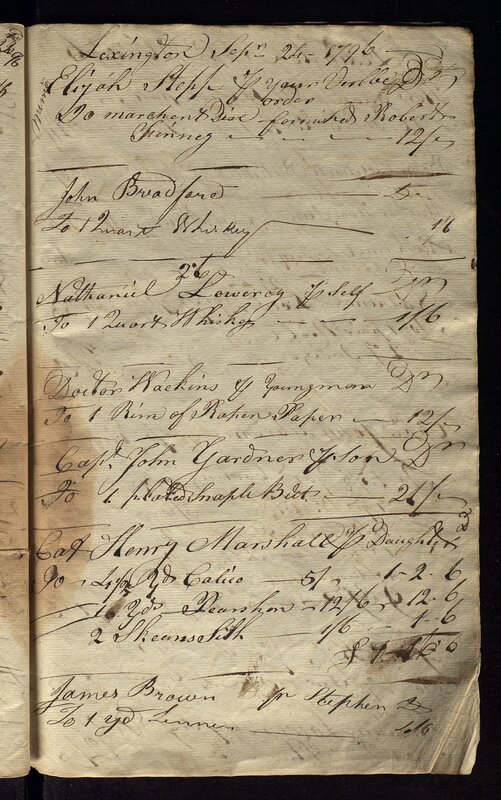 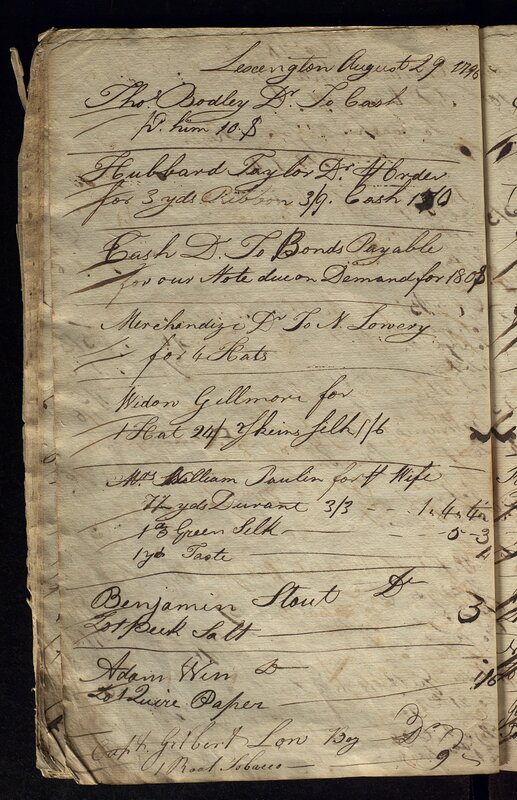 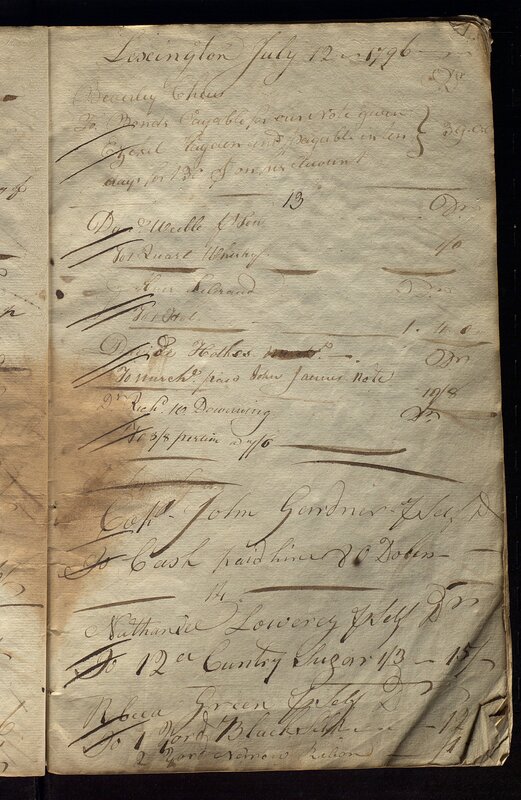 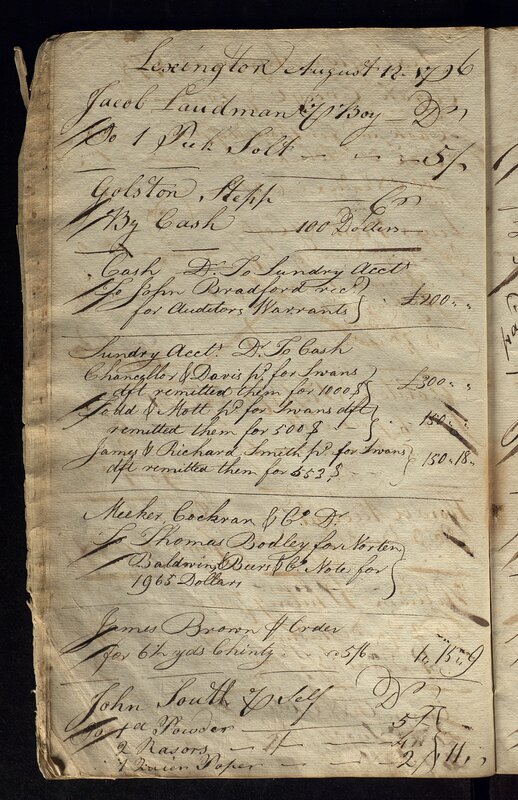 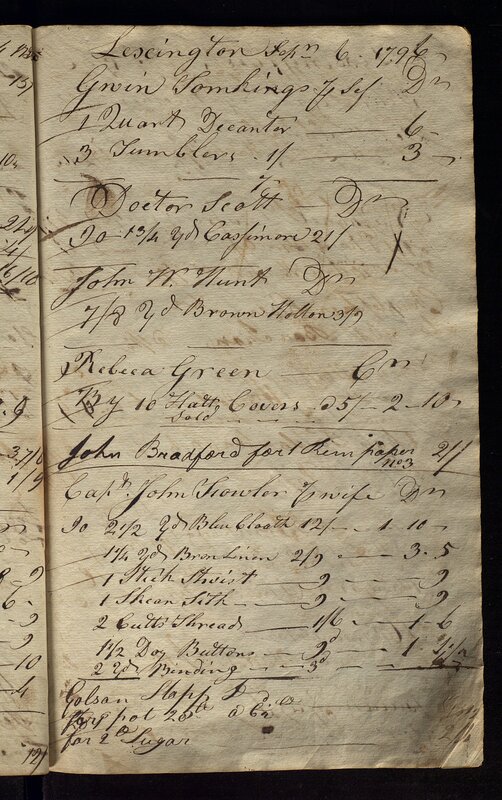 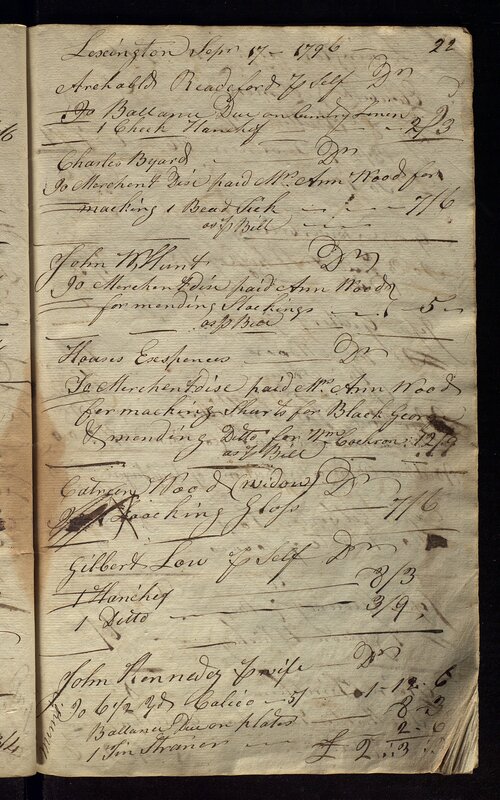 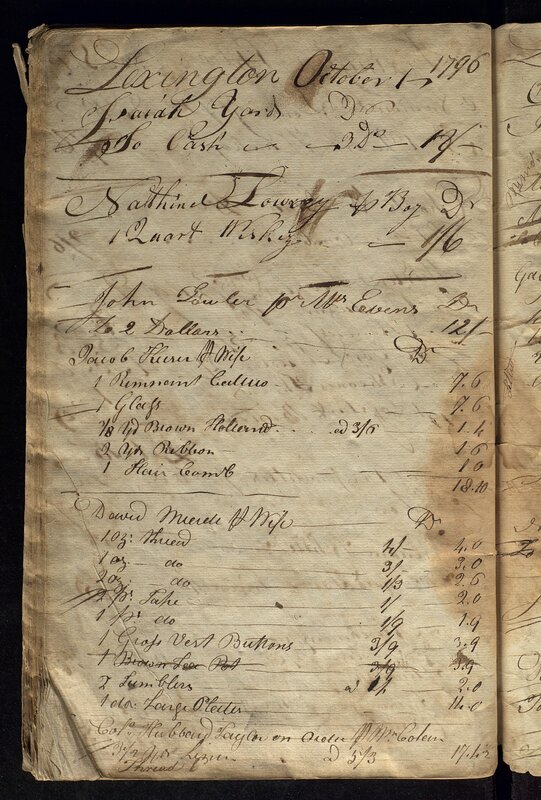 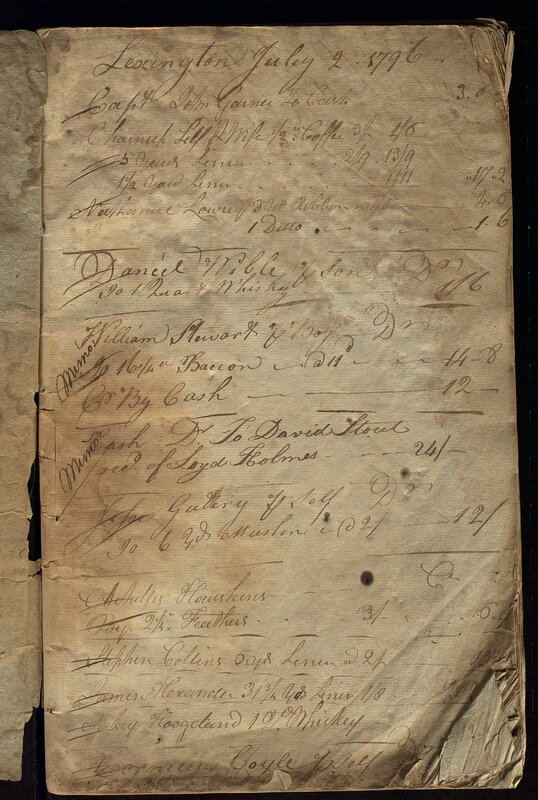 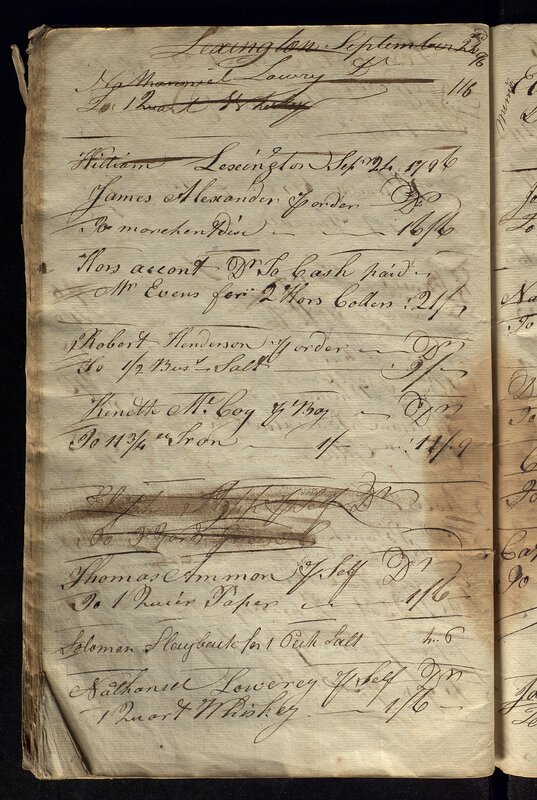 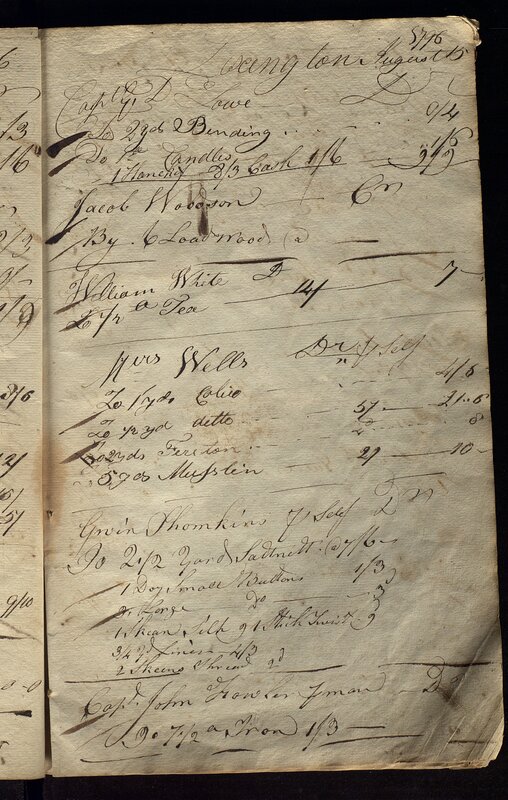 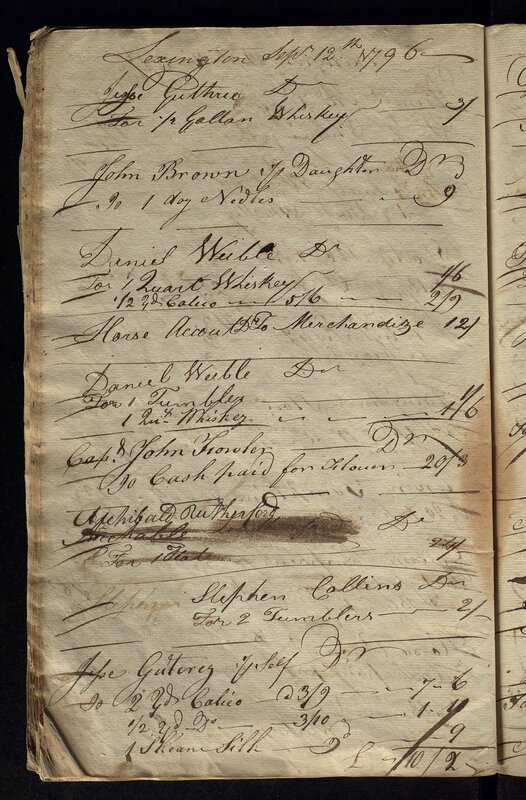 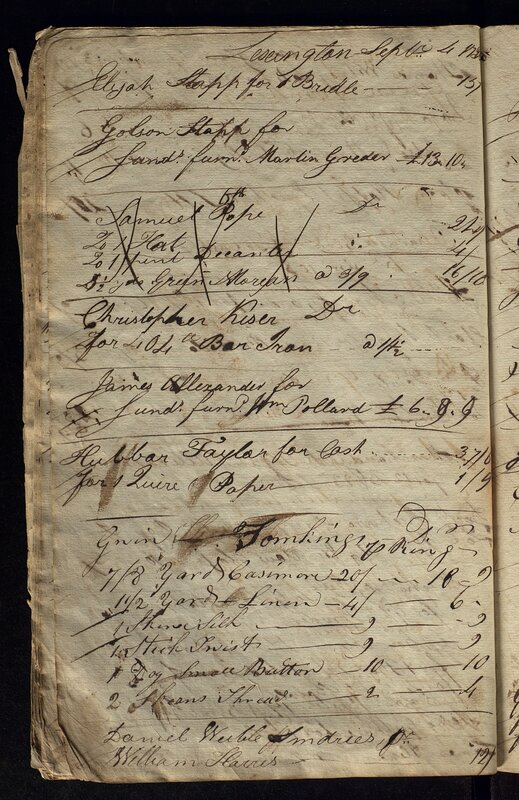 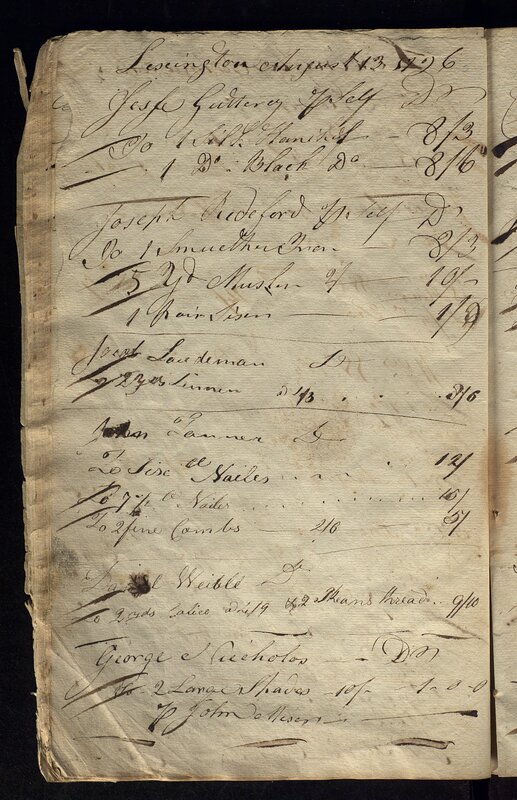 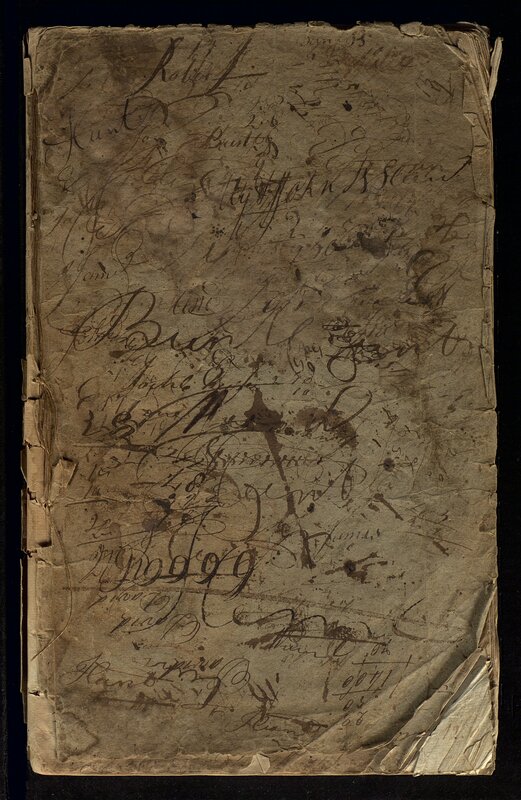 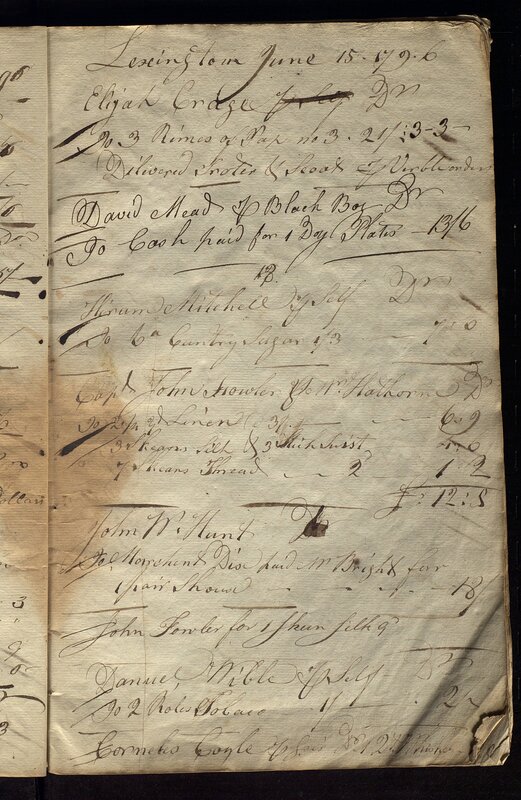 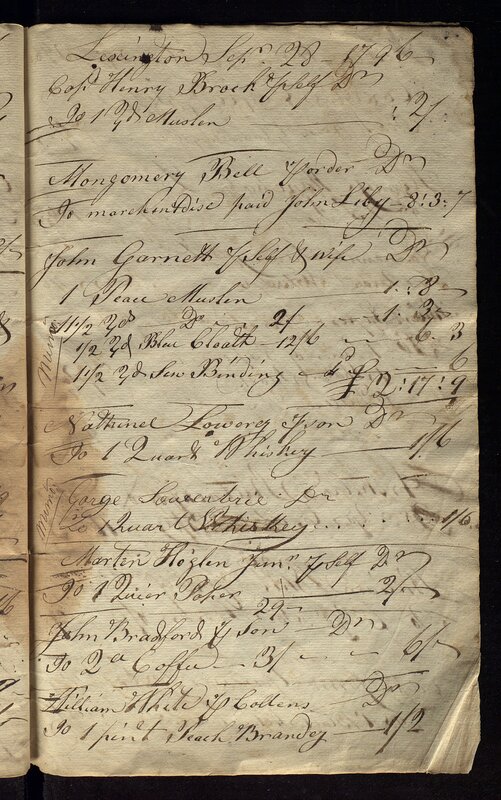 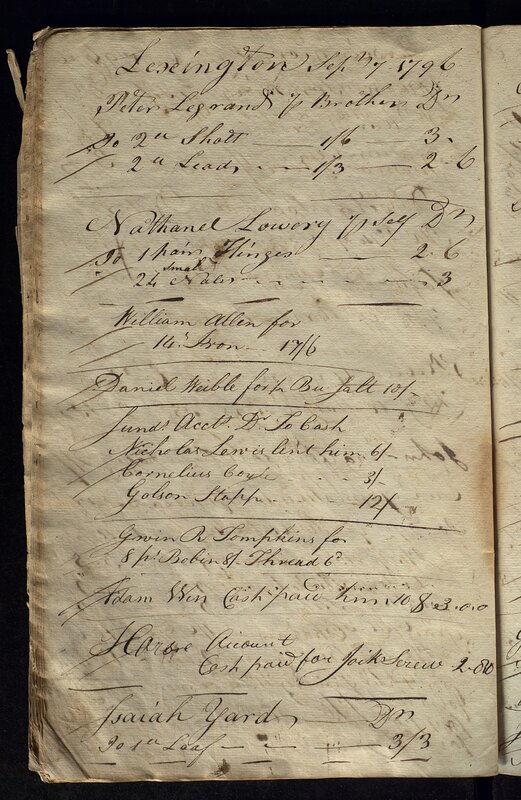 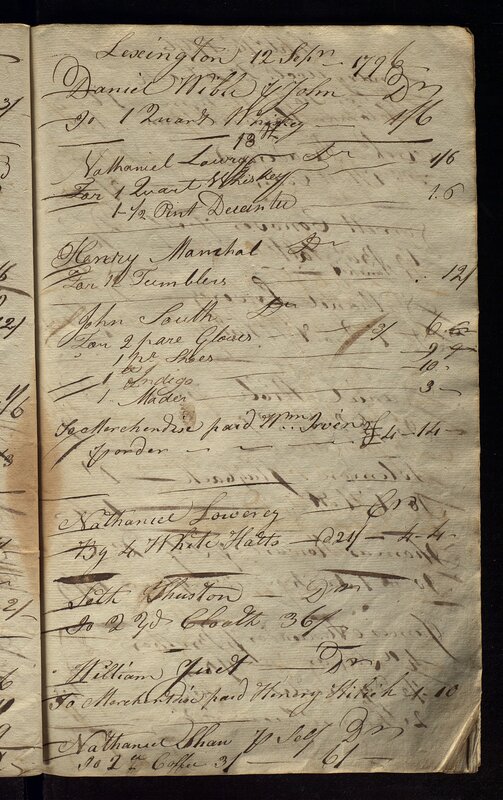 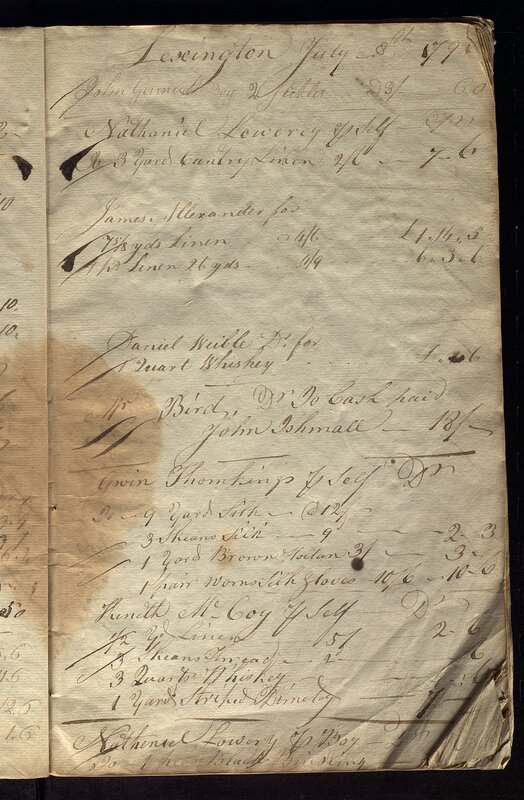 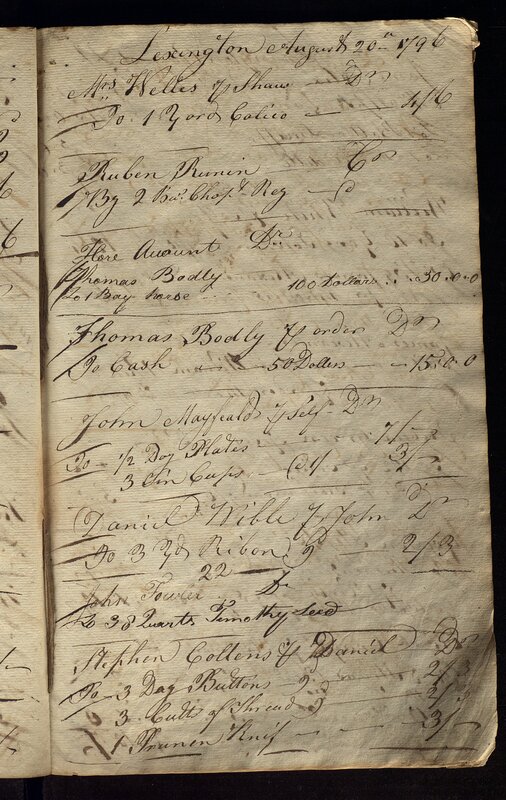 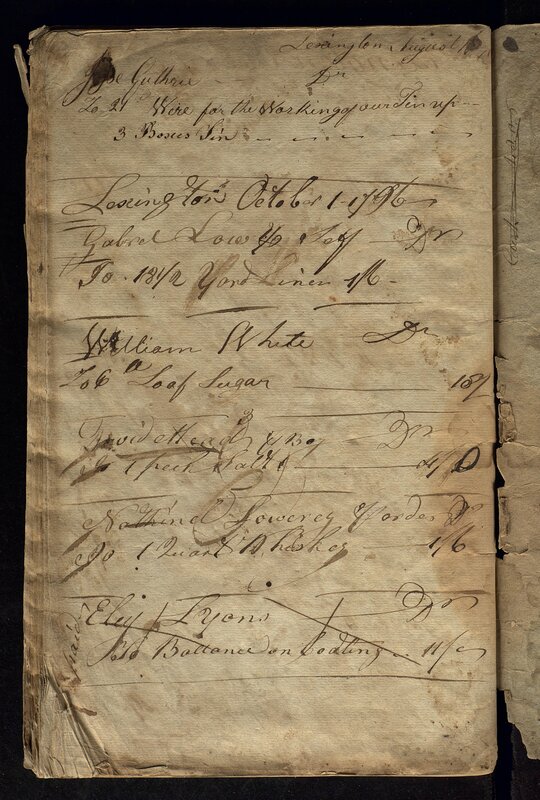 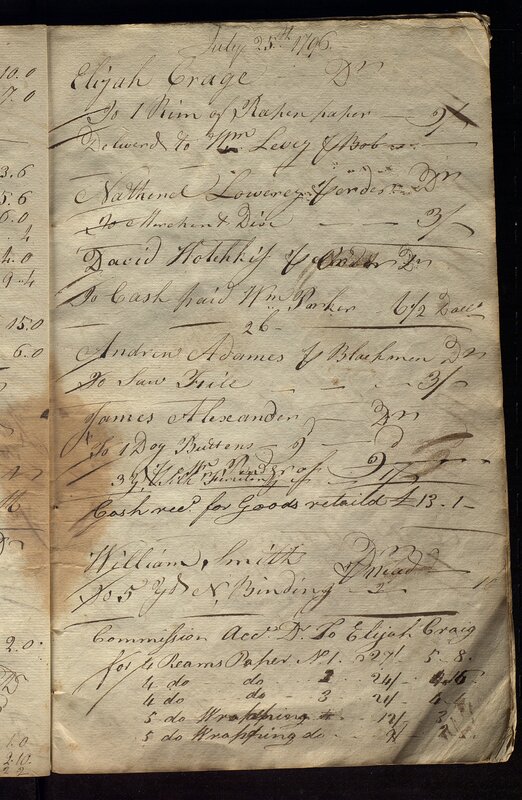 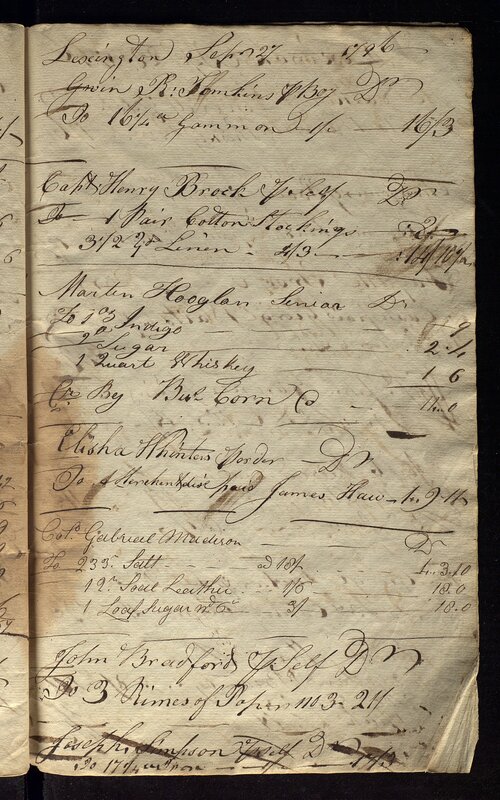 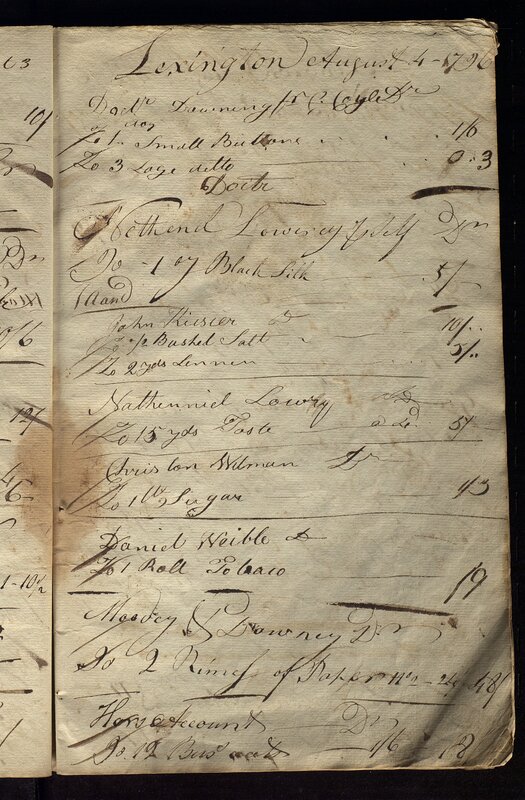 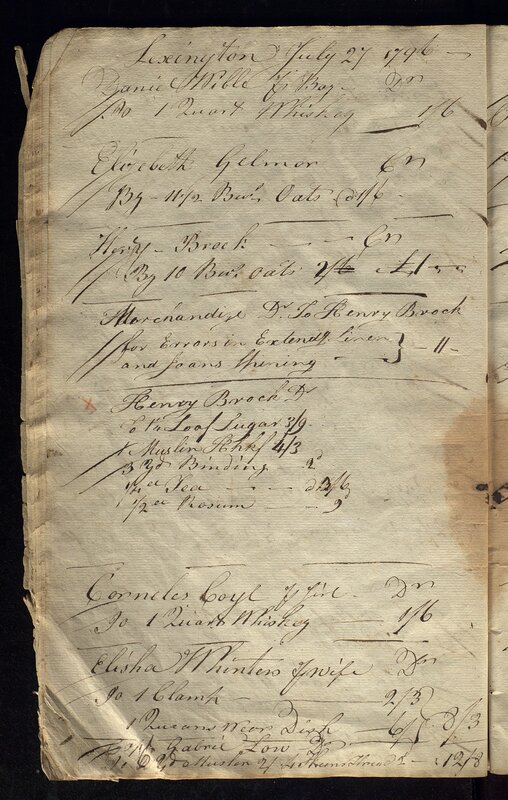 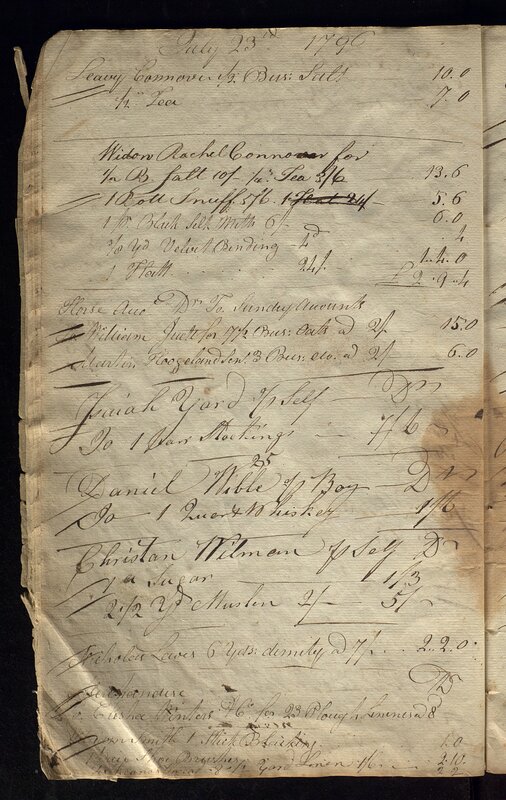 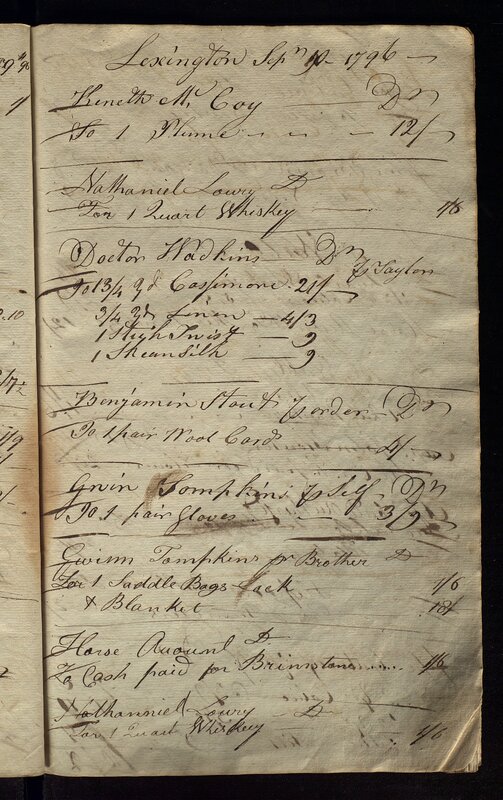 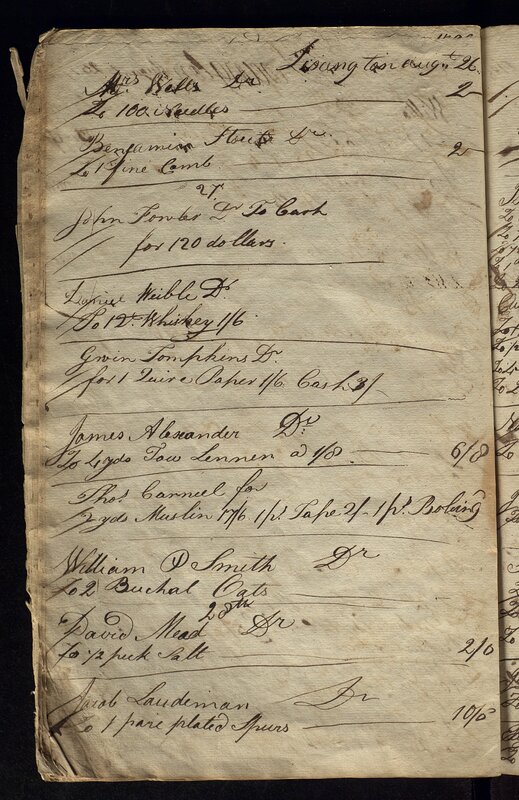 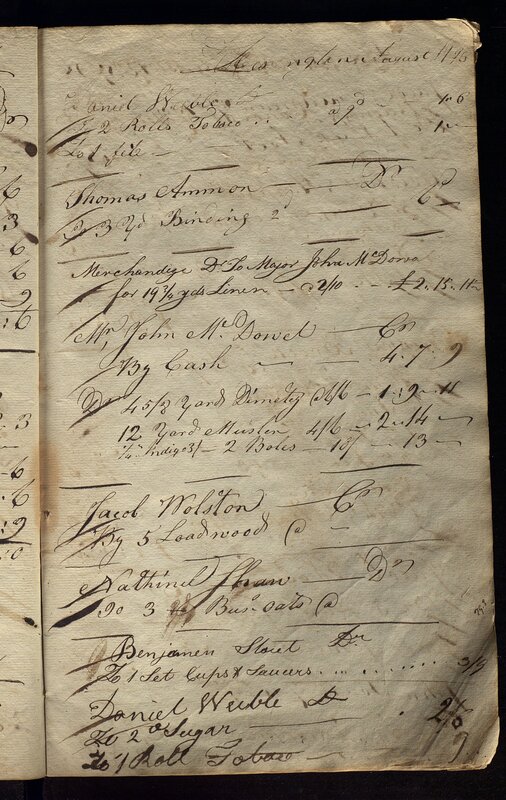 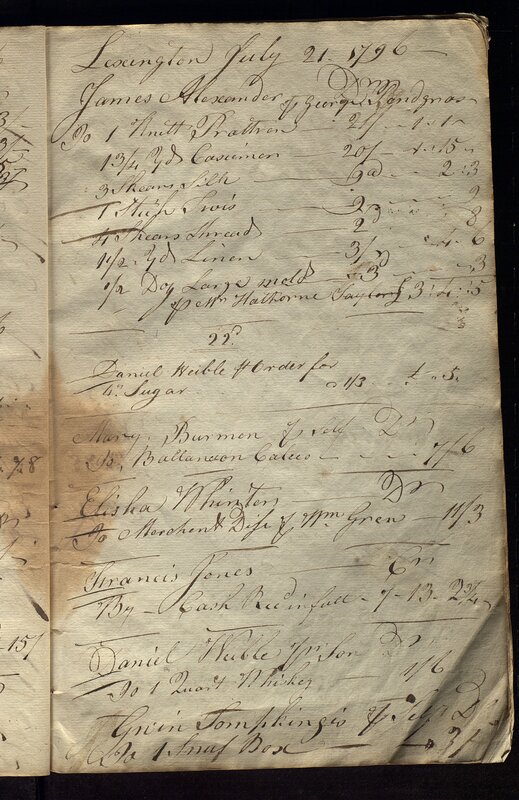 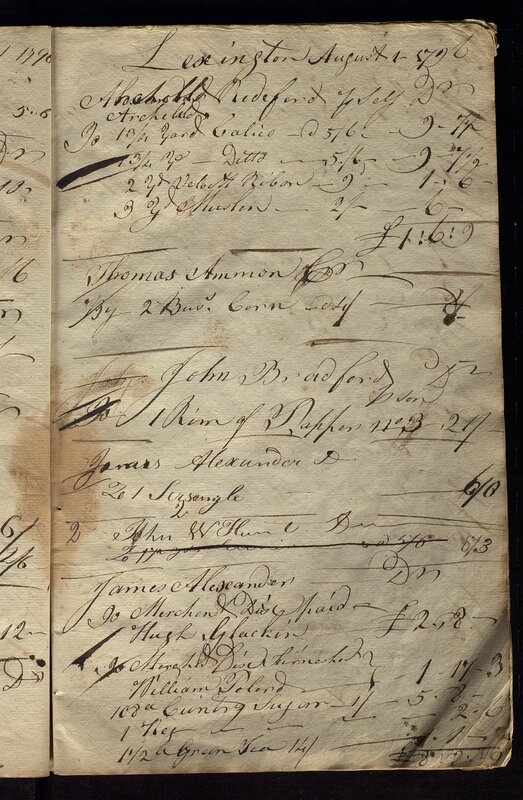 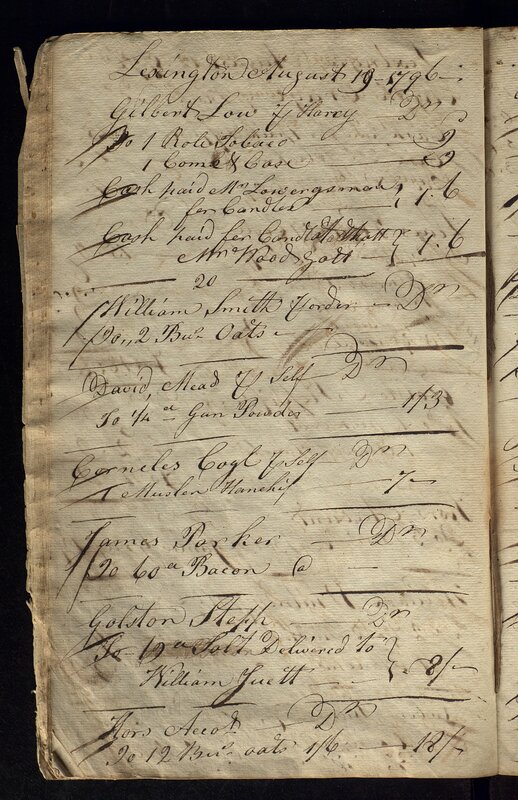 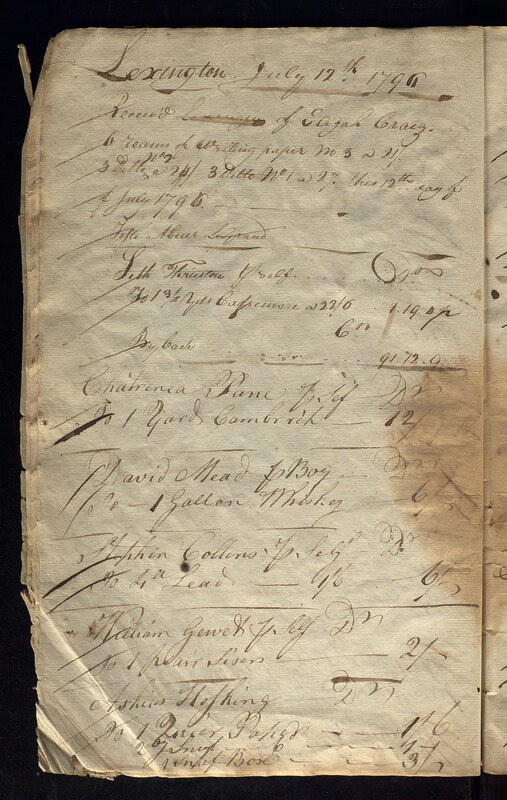 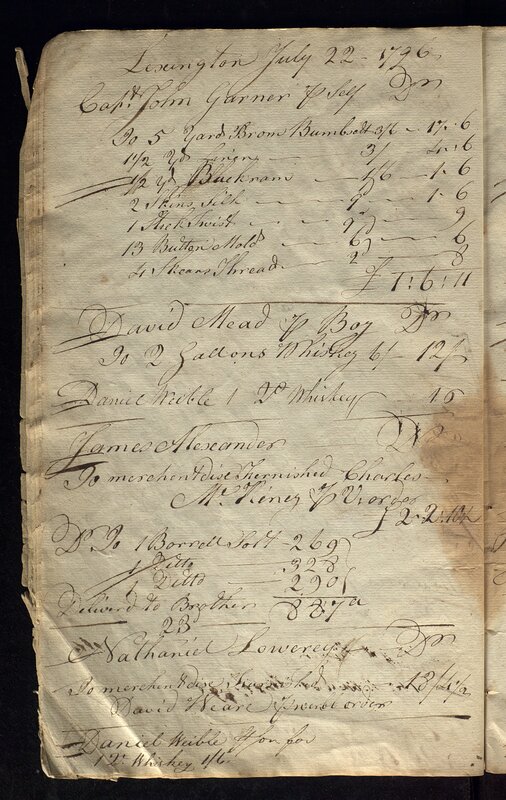 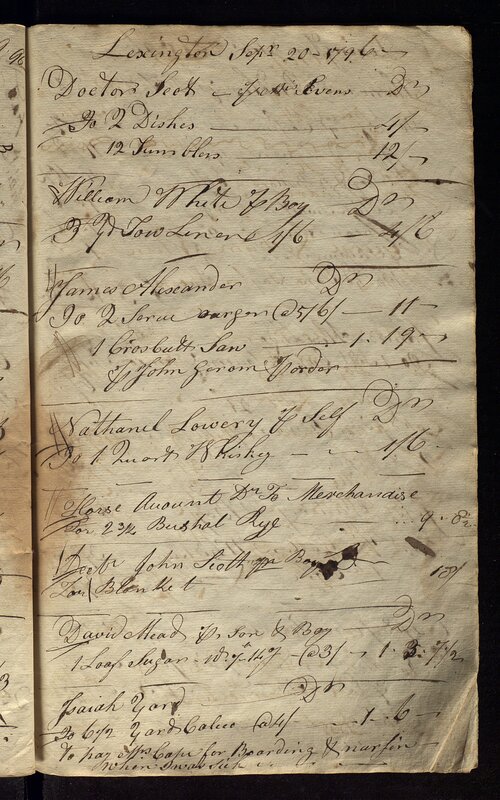 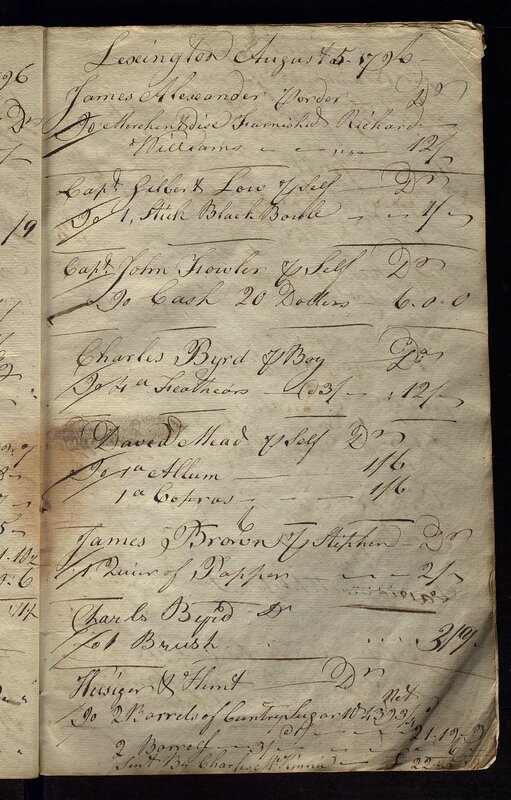 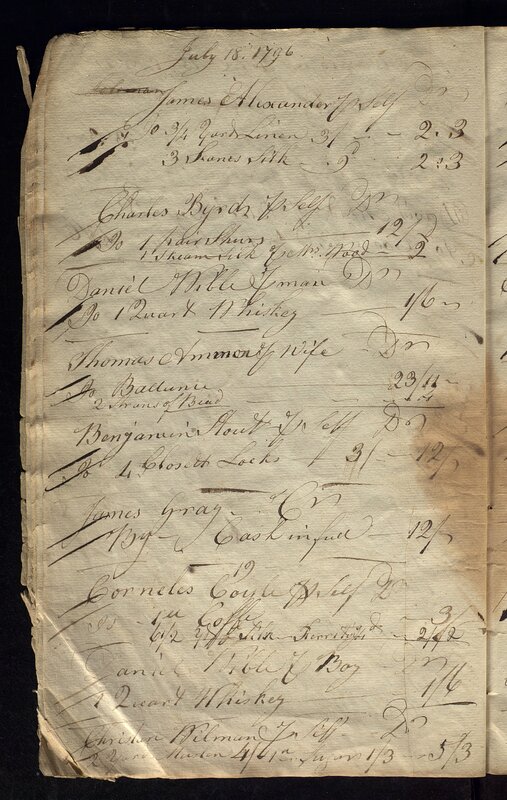 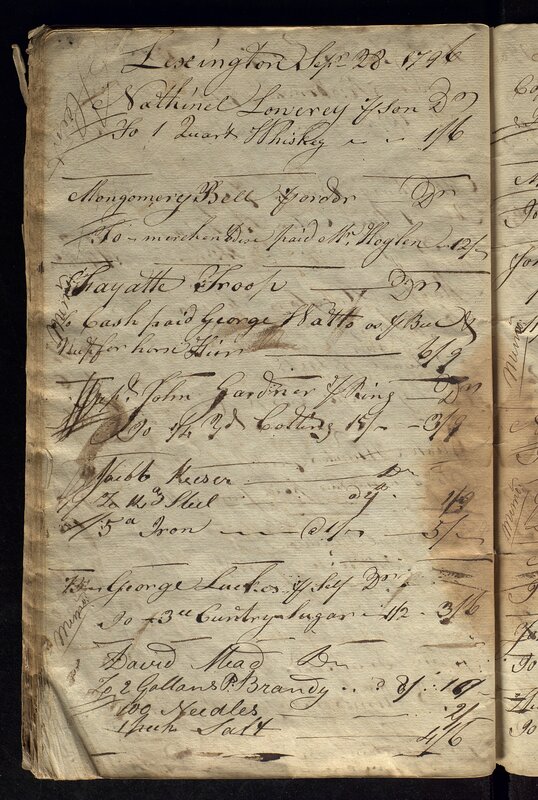 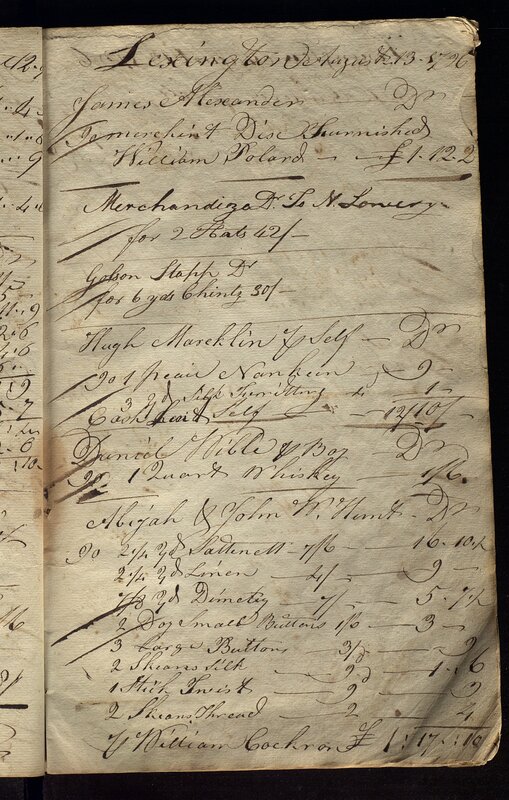 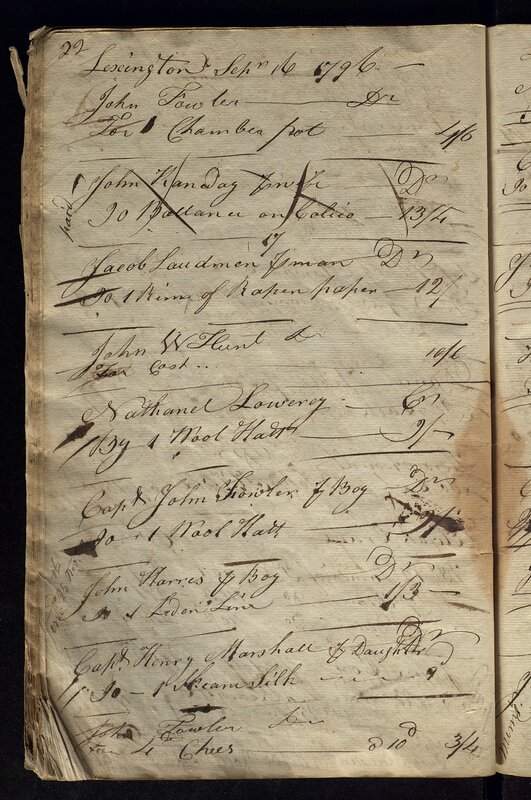 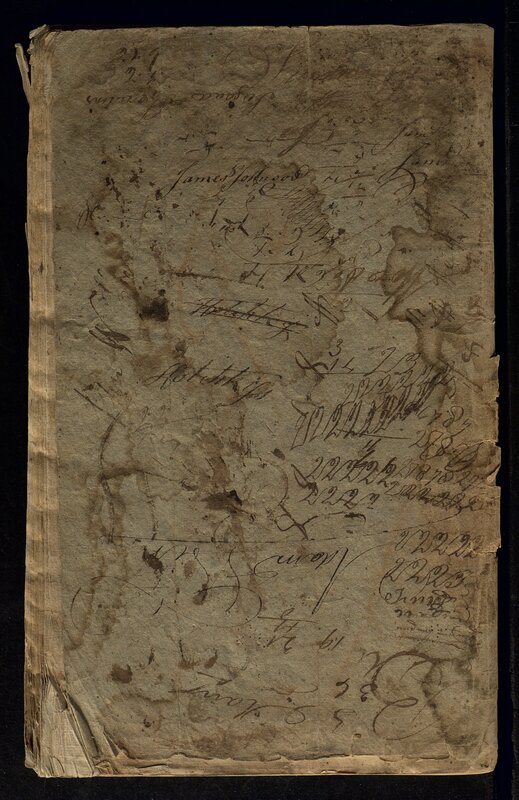 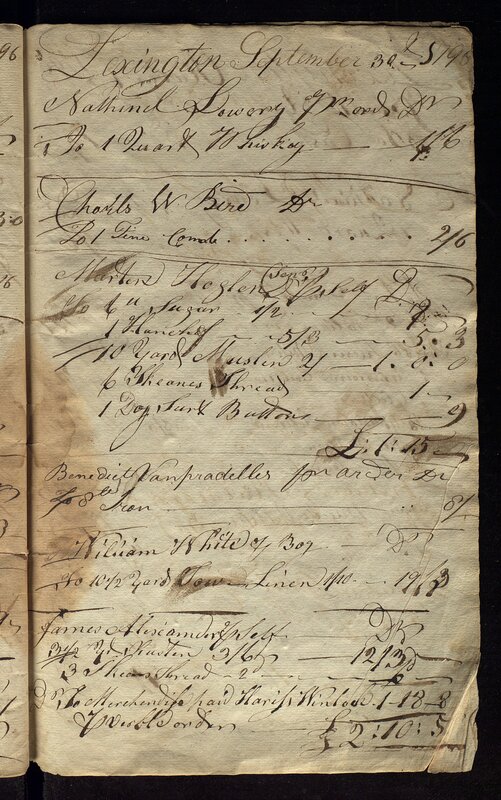 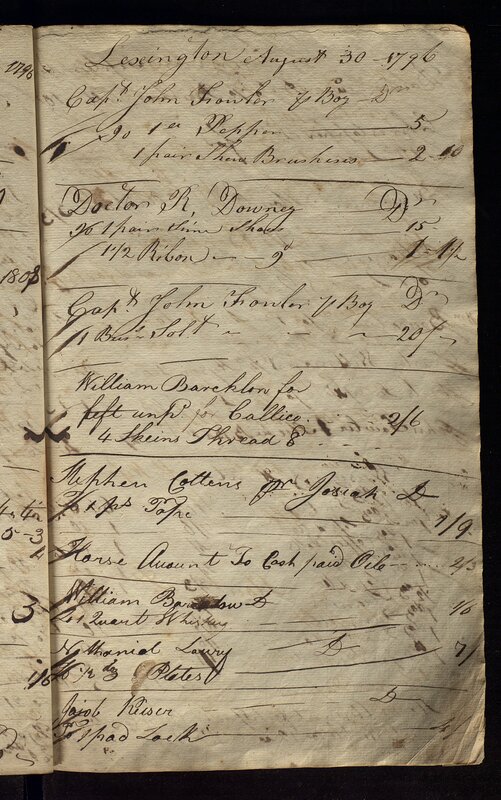 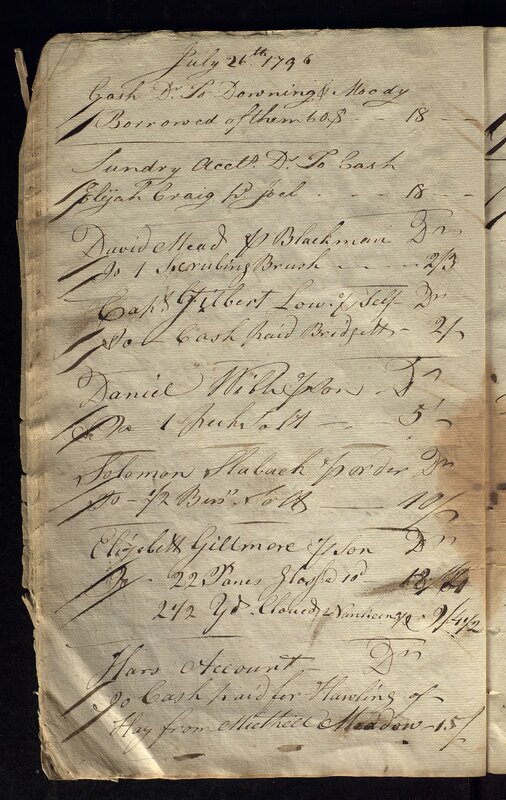 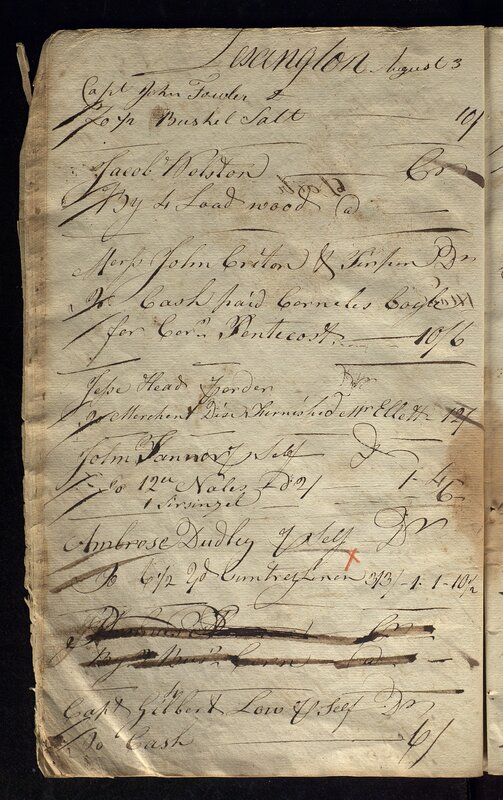 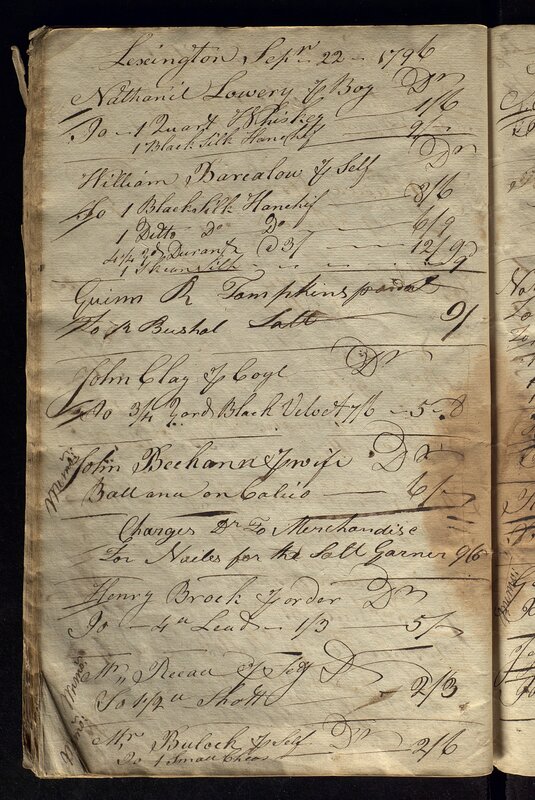 The Abijah and John Wesley Hunt daybook (dated 1796 July 2-October 1; 0.02 cubic feet; 1 item) documents a portion of the Hunts' second year in the mercantile business in Lexington, Kentucky. 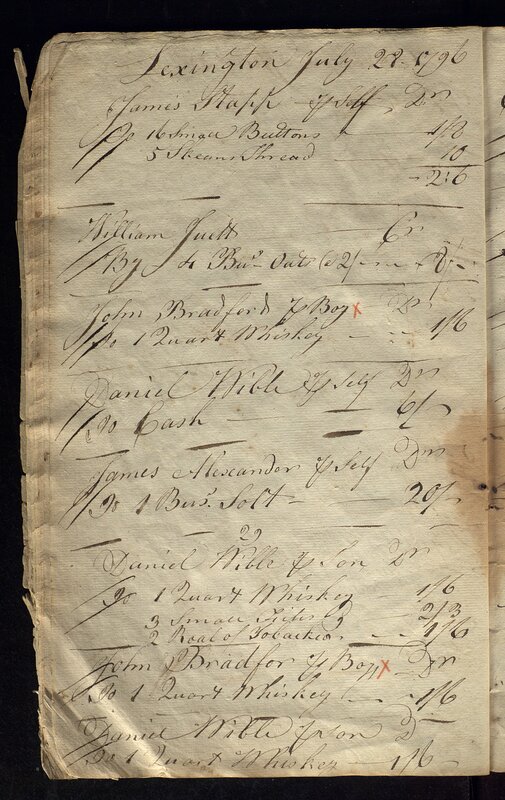 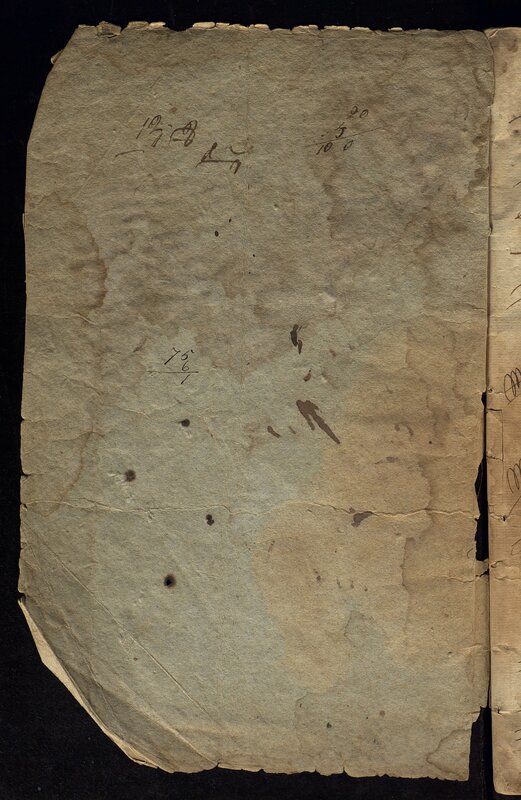 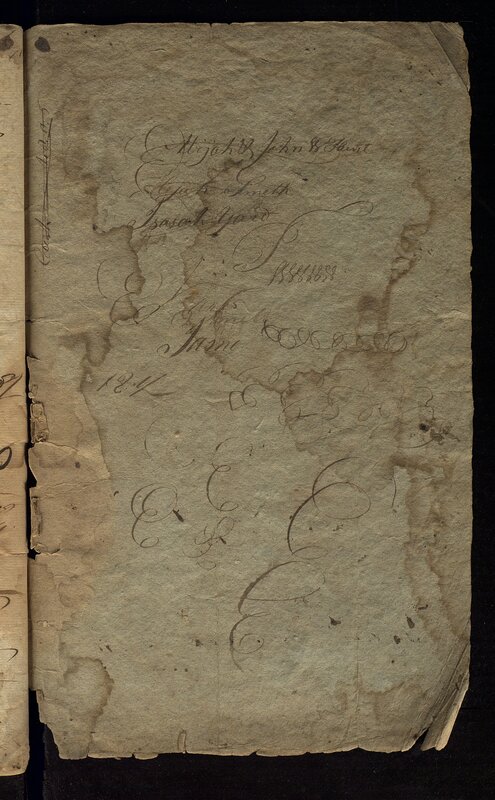 2014ms0029: [identification of item], Abijah and John Wesley Hunt daybook, 1796 July 2-October 1, University of Kentucky Special Collections. 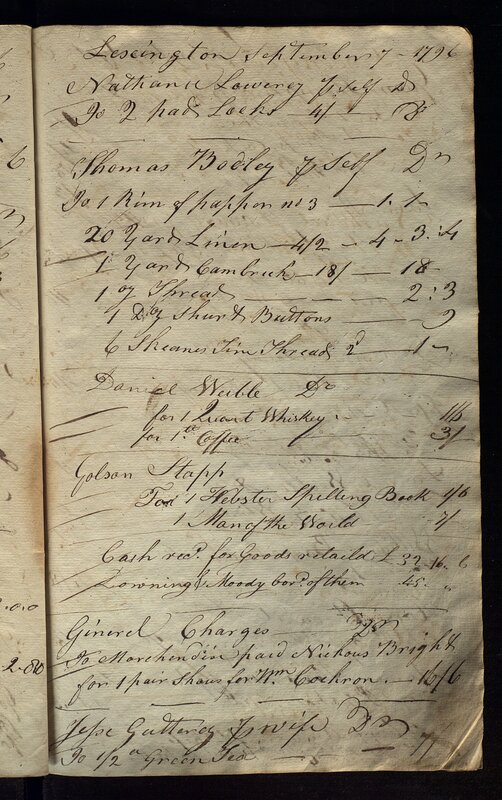 John Wesley Hunt (1773-1849) was a general store owner that moved to Lexington, Kentucky, from Trenton, New Jersey, in 1795. 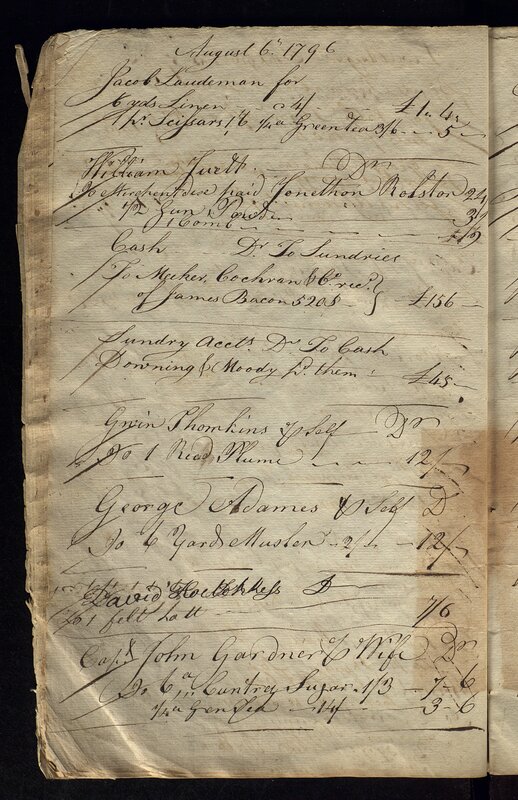 The first millionaire west of the Allegheny Mountains, Hunt was considered to be a founding member of Lexington. 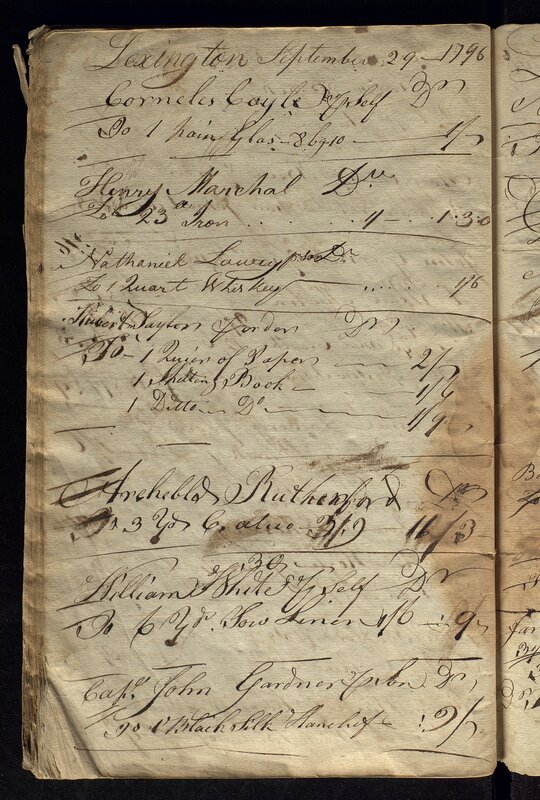 He operated a store with his brother, Abijah Hunt, from 1795 to 1800 when Abijah moved to Natchez, Mississippi. 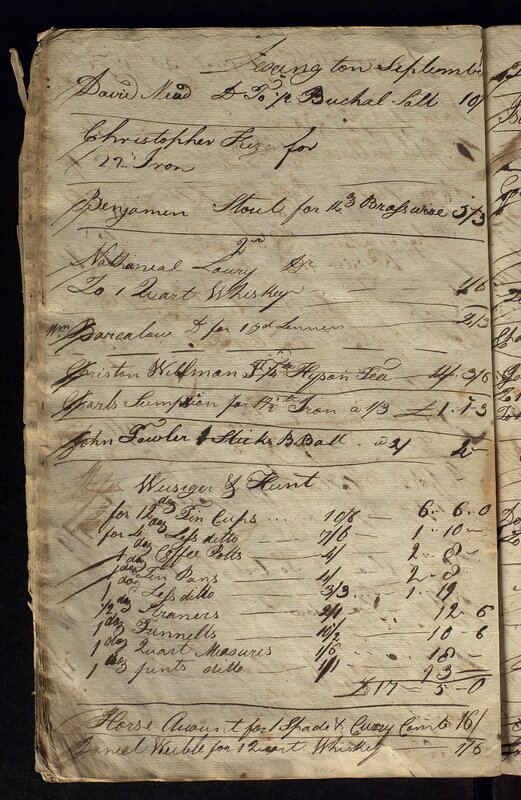 The store, located on Main Street across from the courthouse, started as a general store, but Hunt soon expanded his business to include slave trade; horse breeding; land speculation; hemp and cotton manufacturing; banking; and insurance. 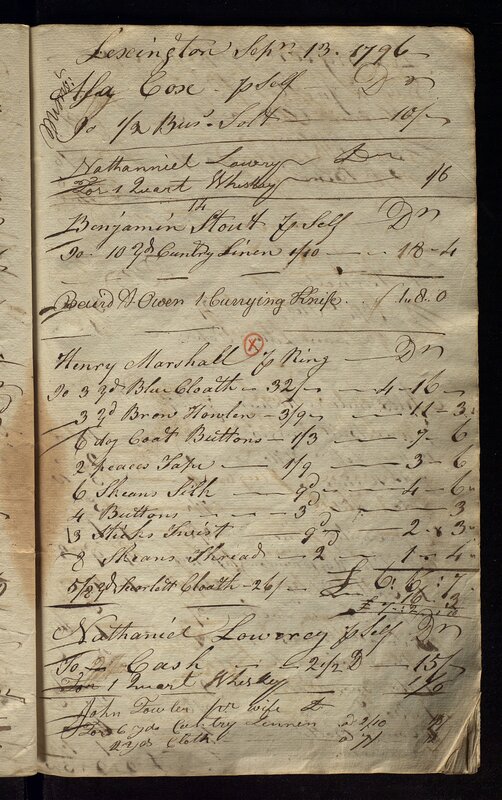 Hunt served as the postmaster of Lexington in 1799 and built the Hunt-Morgan house in 1814.